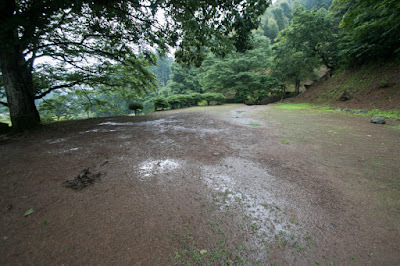 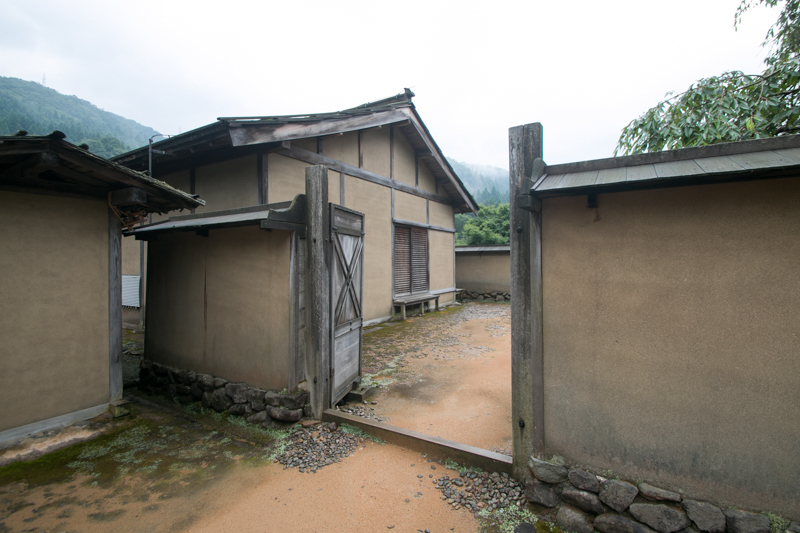 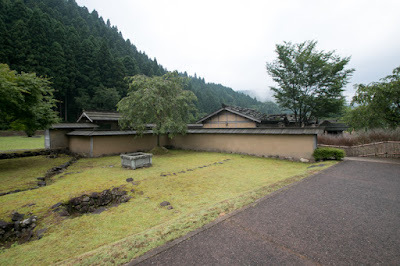 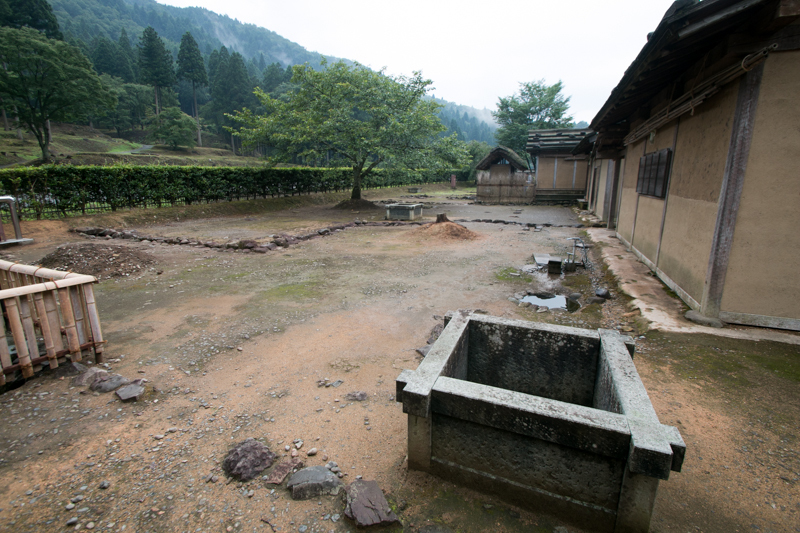 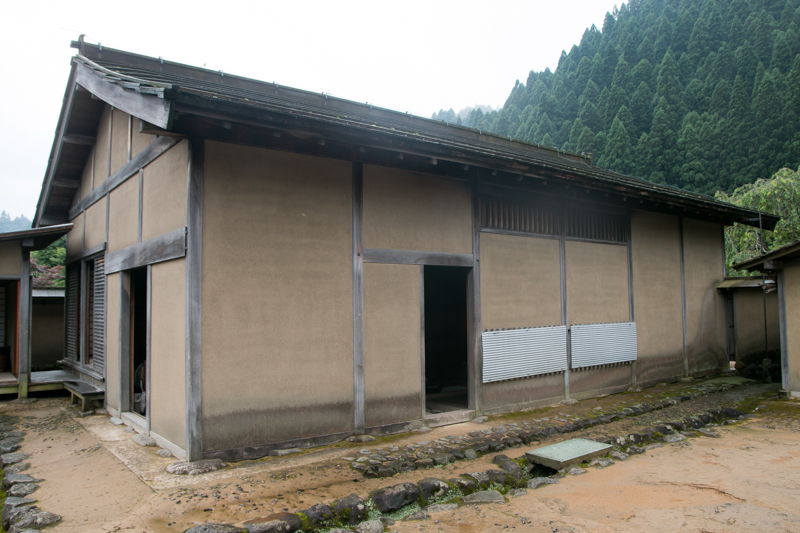 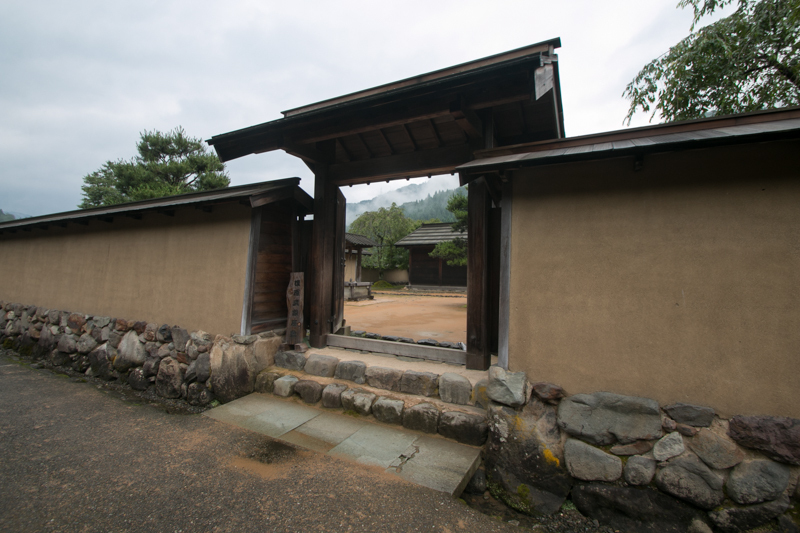 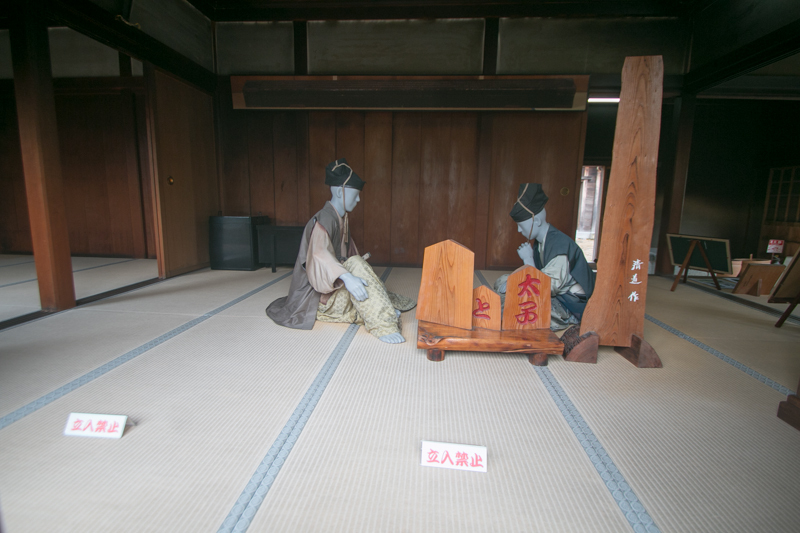 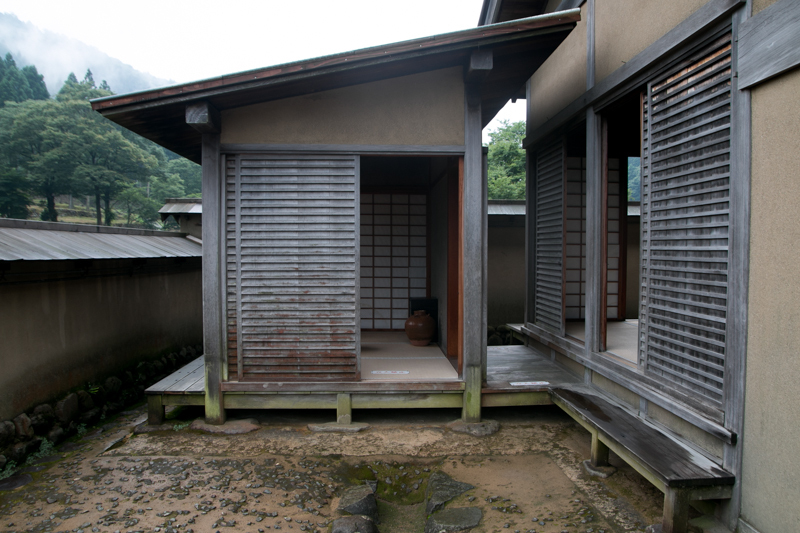 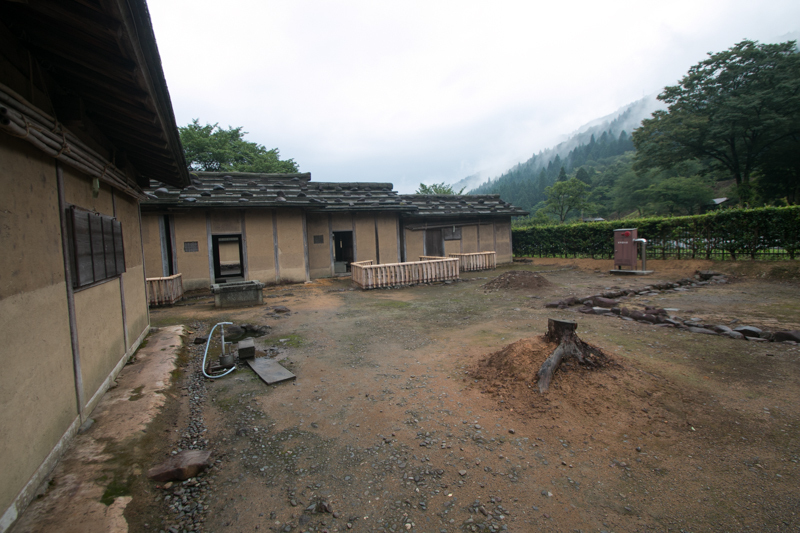 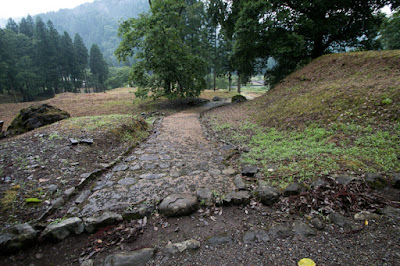 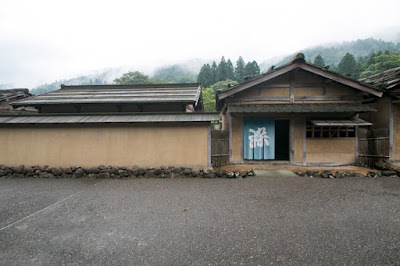 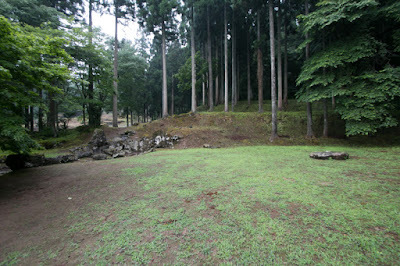 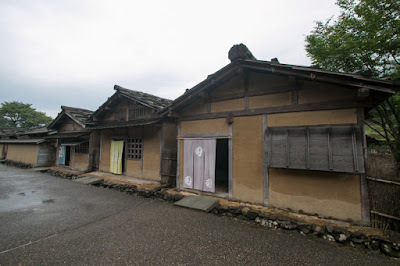 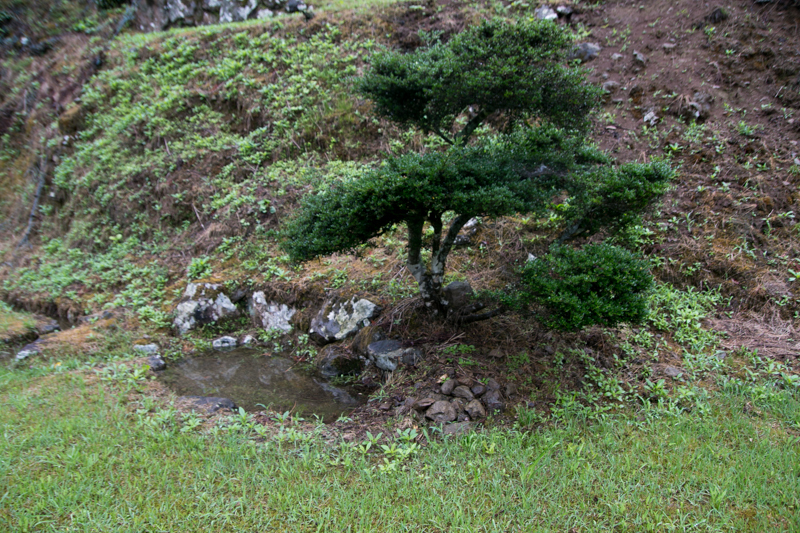 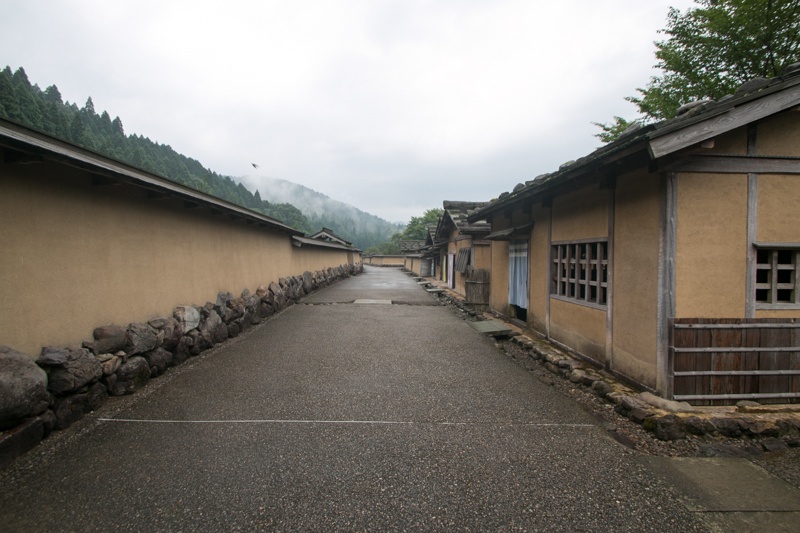 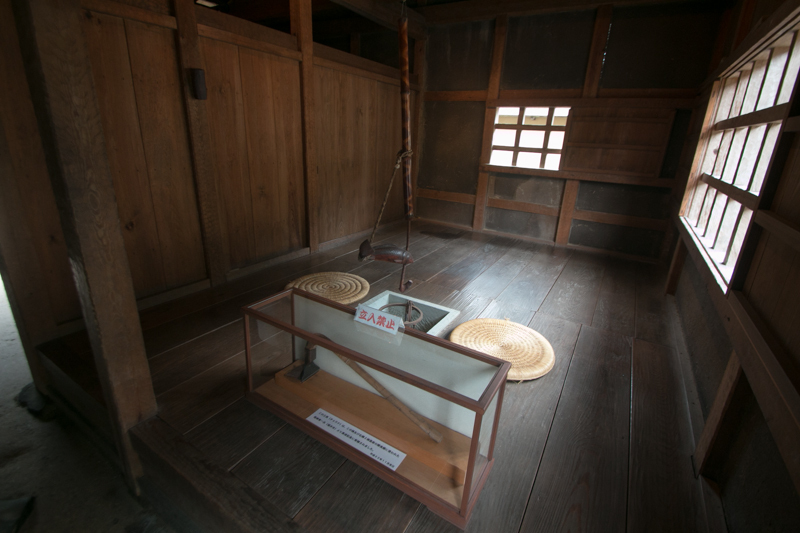 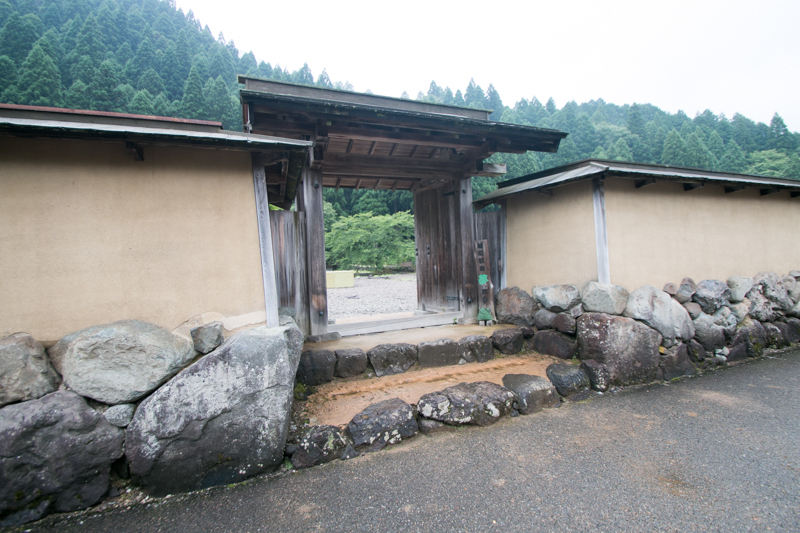 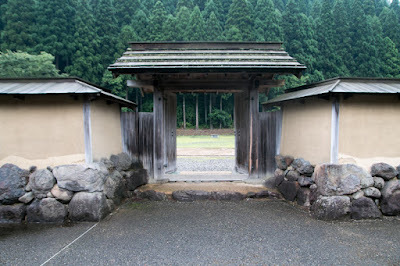 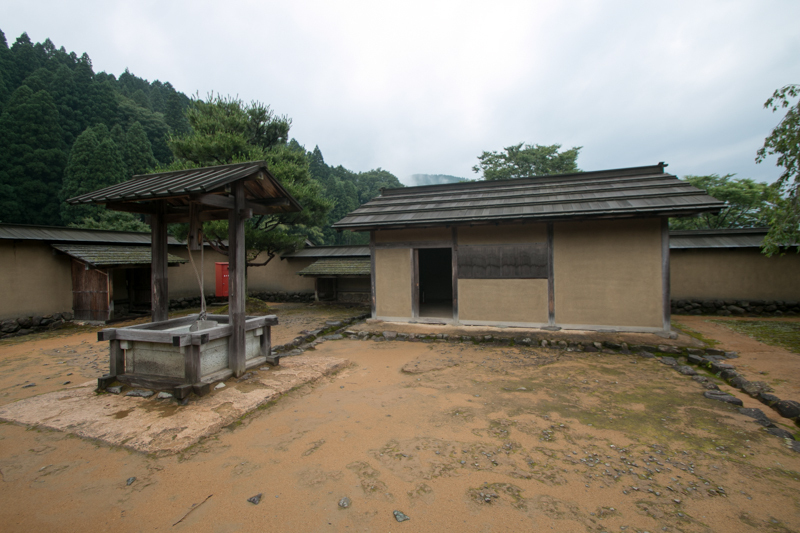 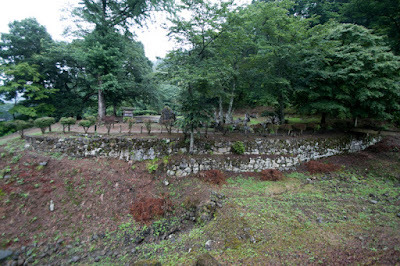 Ichijodani Residence (一乗谷館) is located at Ichijodani valley, at 10km east of current Fukui city. 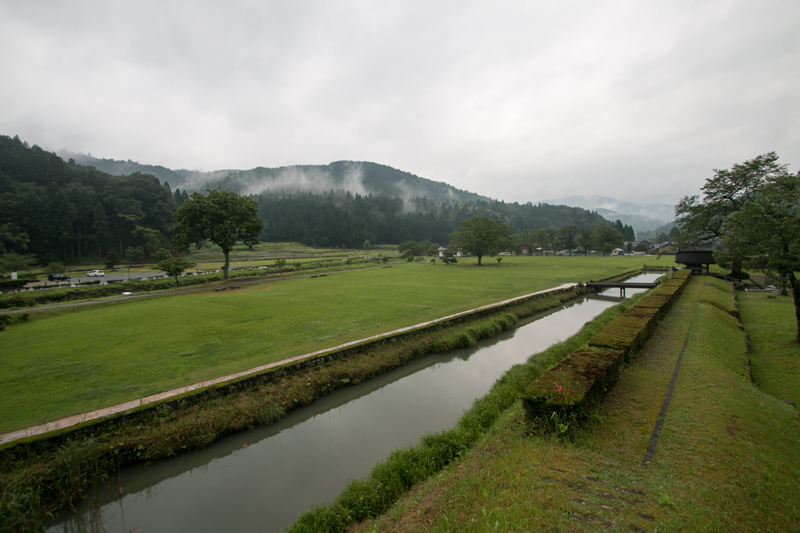 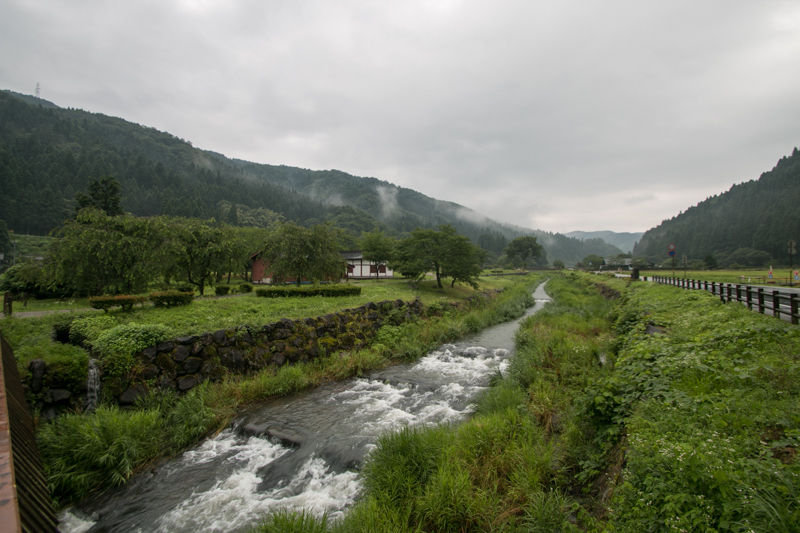 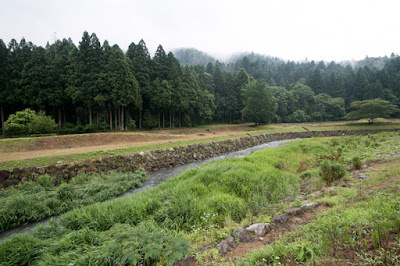 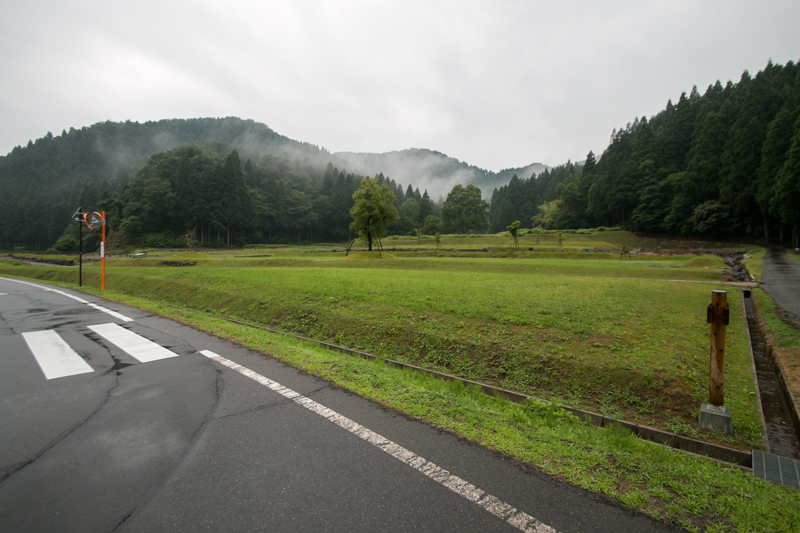 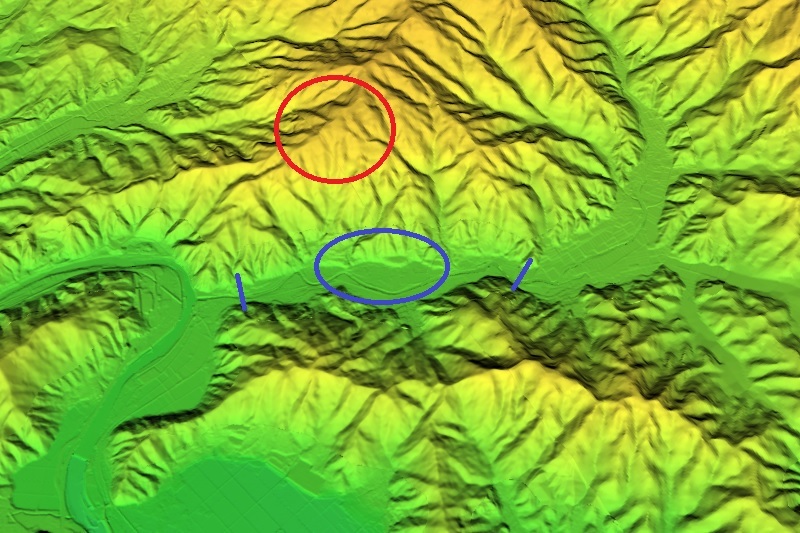 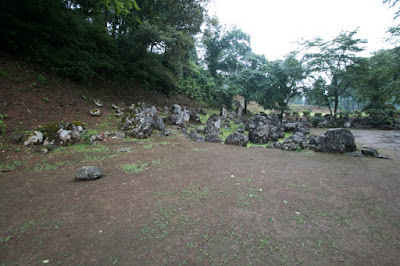 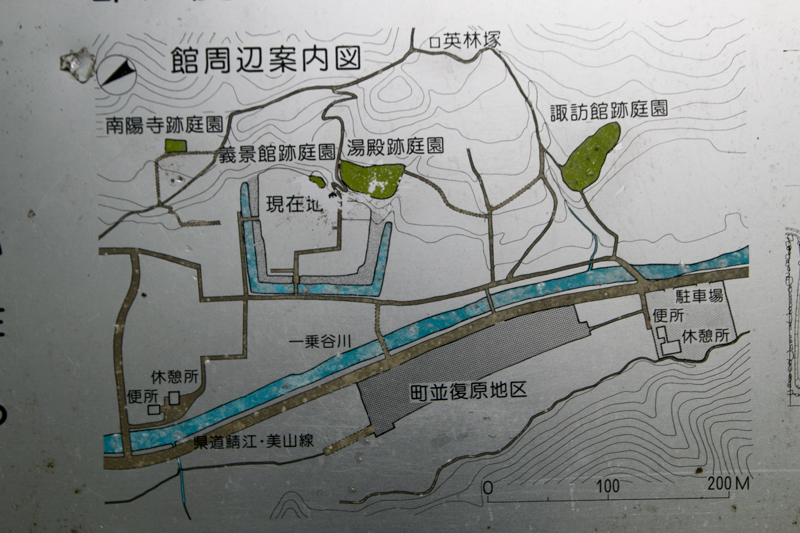 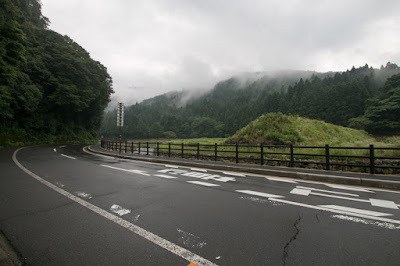 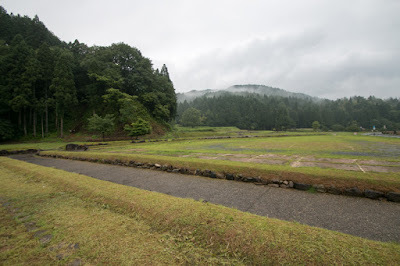 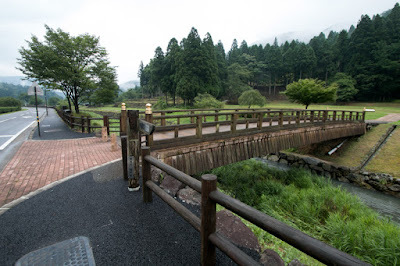 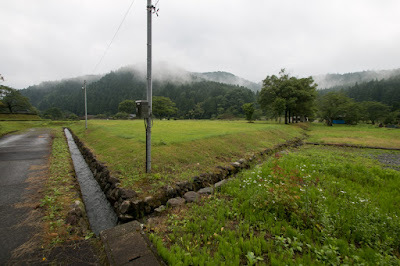 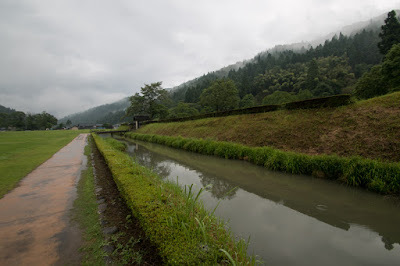 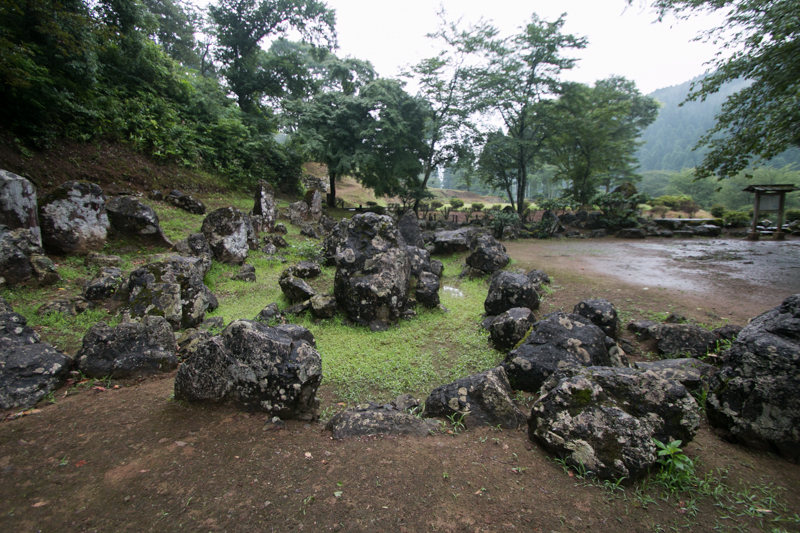 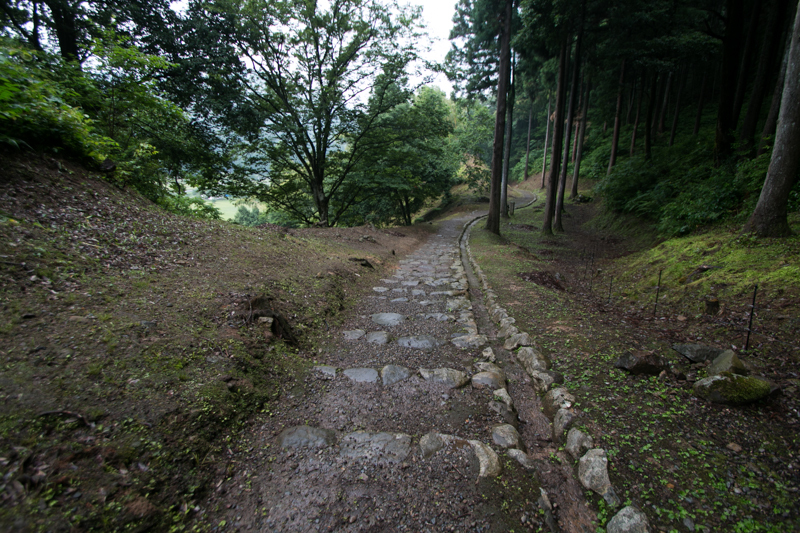 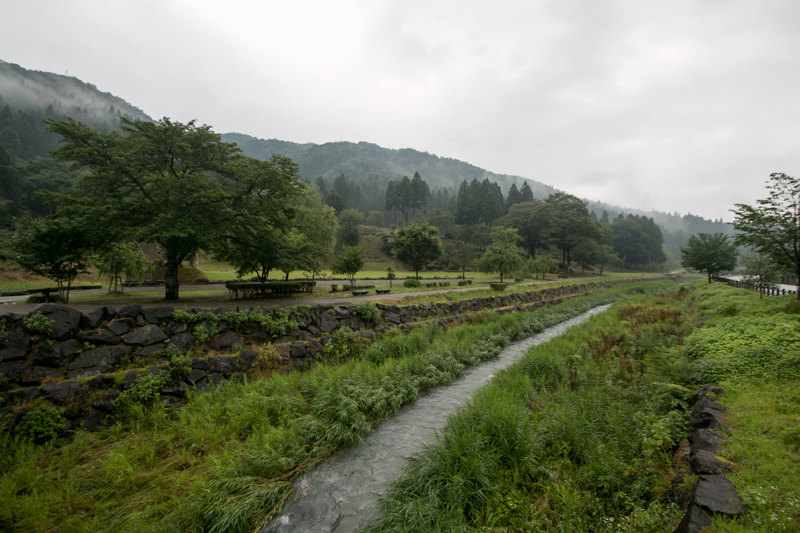 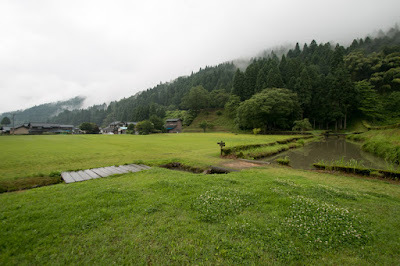 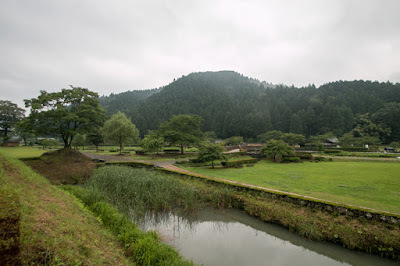 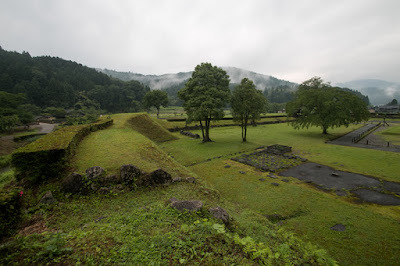 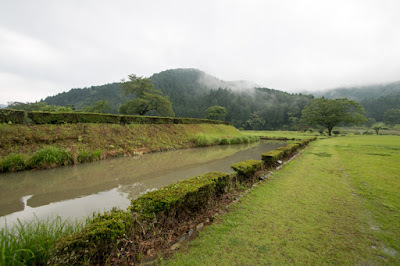 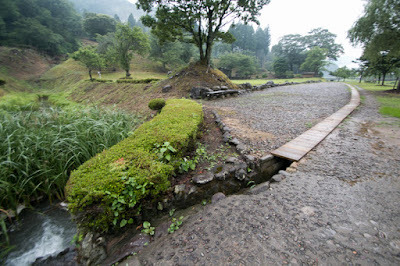 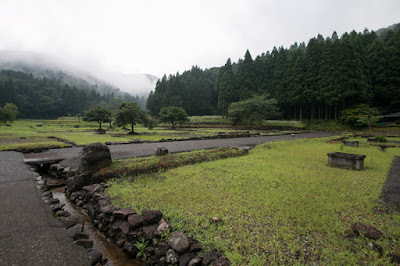 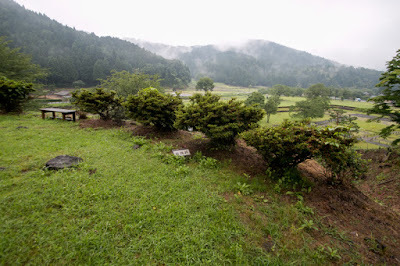 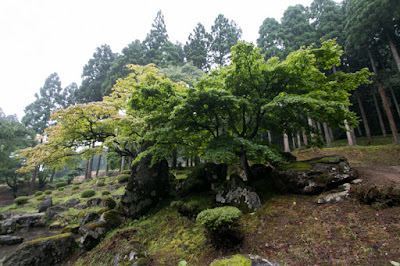 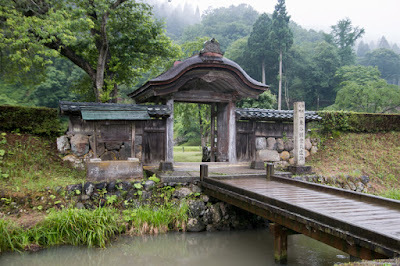 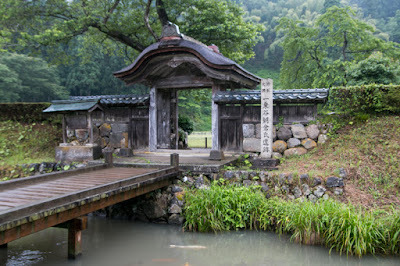 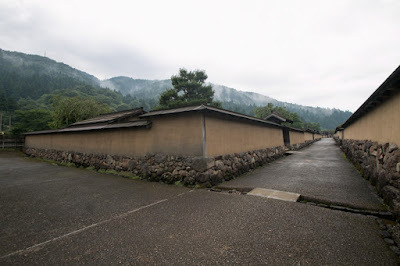 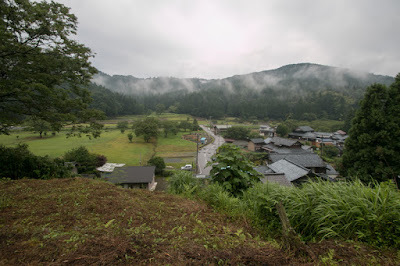 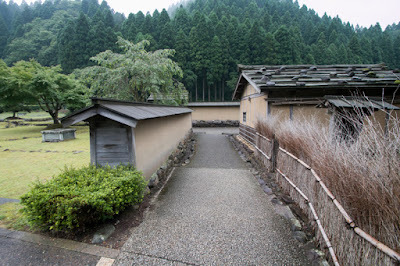 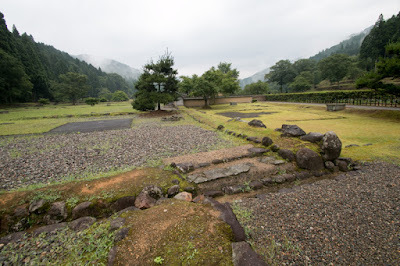 Ichijodani is a three kilometer long narrow valley surrounded by mountains in inland but also connected to Ashimorigawa river or Kuzuryu gawa river, large rivers of this area. 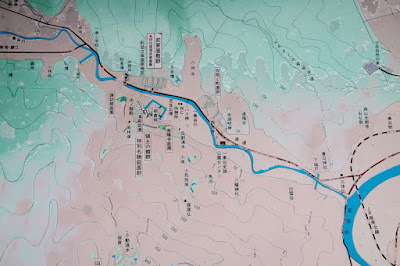 Ichijodani area is also a diverging point of Hokurikudo way, the main artery of Hokuriku region connecting to Kyoto and Tohoku region, and Gujyokaido way to Mino country (Gifu prefecture). 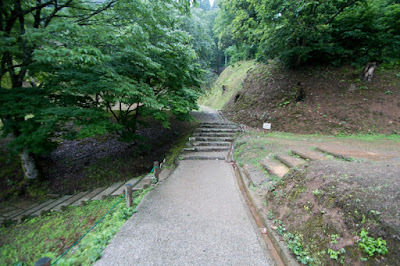 The place of Ichijodani had both easy to defense shape and convenience of communication, thus it was an ideal place to build a capital for medieval lord, although it was to narrow to form a modern commercial city. In Muromachi era, Echizen country (Fukui prefecture) was a territory of Shiba clan, a relative of Ashikaga Shogun and one of the three houses which had qualification to become Kanrei (general governor). Shiba clan was appointed as governors of many country such as Echizen country, Owari country (western half of Aichi prefecture), Totomi country (western part of Shizuoka prefecture) and so on. 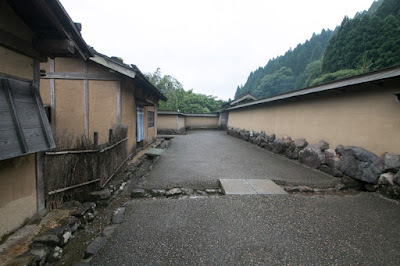 Of course Shiba clan could not reign all of territory by themselves, thus they placed deputy governors at each territory. In Echizen country, Kai clan was appointed as a deputy governor, and Asakura clan was next position to Kai clan. 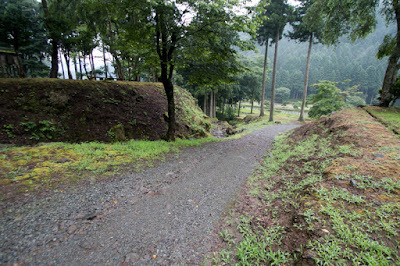 By the way, Oda clan later become the fatal enemy of Asakura clan, was also appointed as a deputy governor of Owari country under Shiba clan. 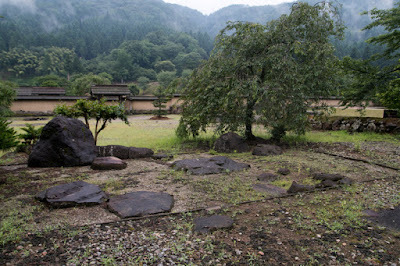 Takakage Asakura (1428-1481, called as his Buddhist name Eirin to distinguish from another Takakage) was the seventh leader of the clan and substantial founder of Asakura clan as a warlord. Takakage served to Shiba clan as general and activated in many battles from youth, and became an experienced general. 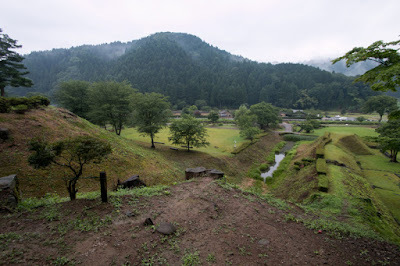 In 1467, due to the conflict for the successor of eightth Shogun Yoshimasa Ashikaga (1436-1490) and power struggle between large lords, a large internal war between Westside army lead by Souzen Yamana (1404-1473) and Eastside army lead by Katsumoto Hosokawa (1430-1473) named Onin no Ran (Incident of Onin) arose at Kyoto city, the capital, and continued over 10 years. 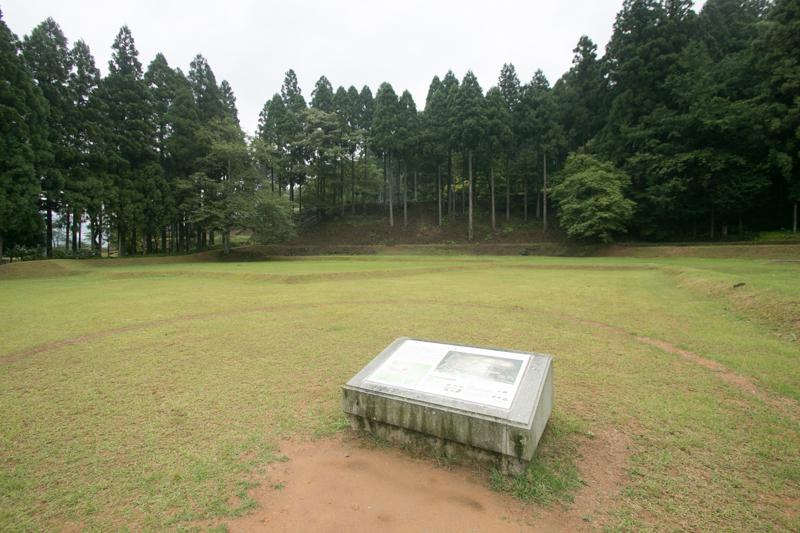 Af first Takakage belonged to Westside army along with his master Shiba clan and fought at Kyoto, and killed famous mercenary general Douken Honekawa (?-1468). 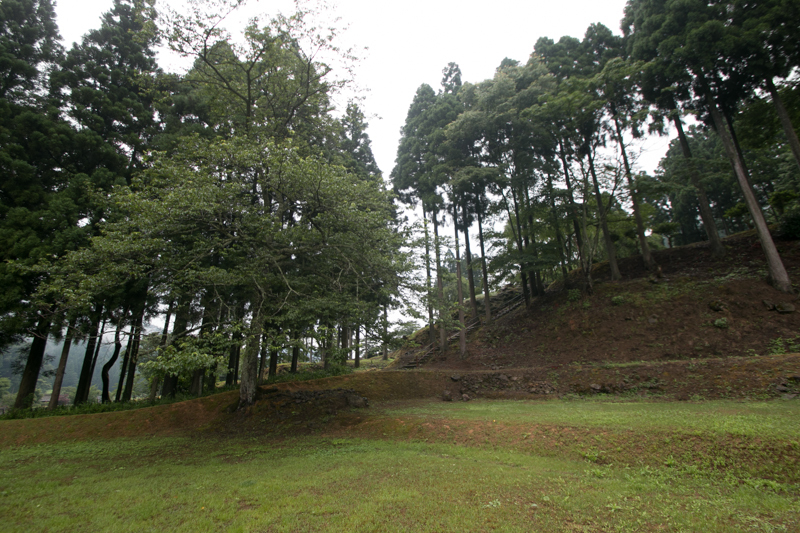 But in 1471, Takakage suddenly changed to Eastside army under condition of becoming governor of Echizen country. However, Takakage did not fight in Kyoto any more and returned to Echizen, and aimed at expansion of his territory against former master Shiba clan and Kai clan. 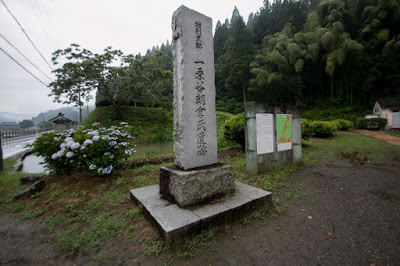 After five years battle, Takakage seize most part of Echizen country and became the substantial governor of Echizen country. 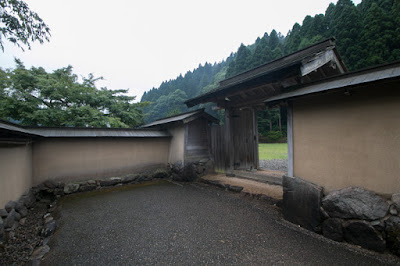 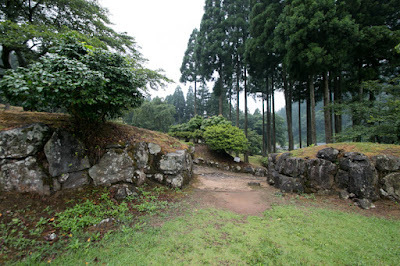 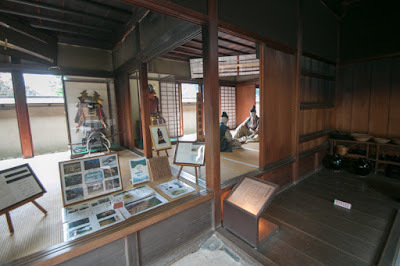 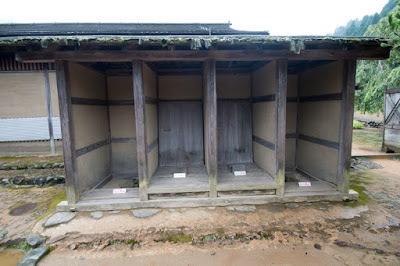 As Takakage confiscated many manors of temples and nobles he was said as unprecedented bandit, but Takakage also had a cultural ground and communicated with cultured persons. 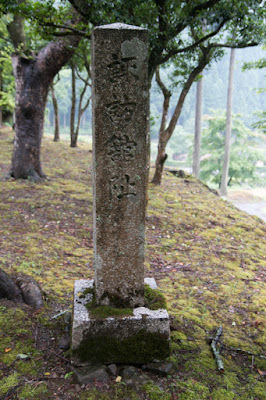 After the death of Takakage, eighth leader Ujikage Asakura (1449-1486) faced backlash of Shiba clan or Kai clan. 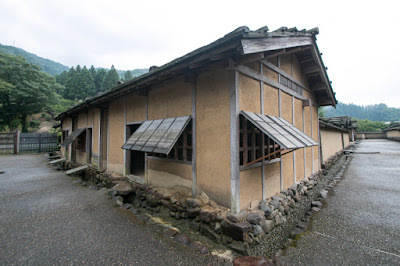 Ujikage fought against old powers to keep his position, and stayed relative of Ashikaga shogunate, the higher tribe than Shiba clan, as a nominal leader of Echizen country, to prevent the restoration of Shiba clan as the governor. 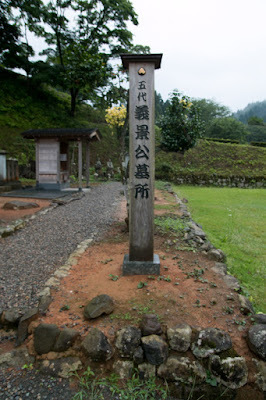 Now Asakura clan also had the legitimacy on Echizen country. 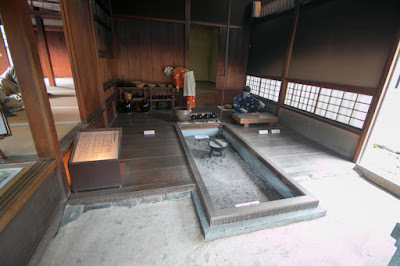 During the period of nihth leader Sadakage Asakura (1473-1512), now his uncles planned rebellion to him in 1503. 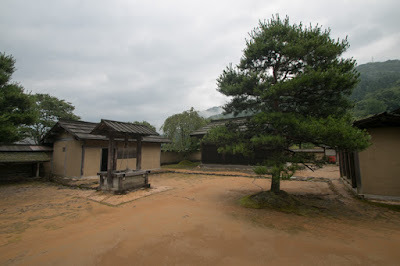 But another uncle Norikage Asakura (1477-1555, famous as his Buddhist name Souteki) noticed this plan to Sadakage and suppressed it, and the status of leader became firm. 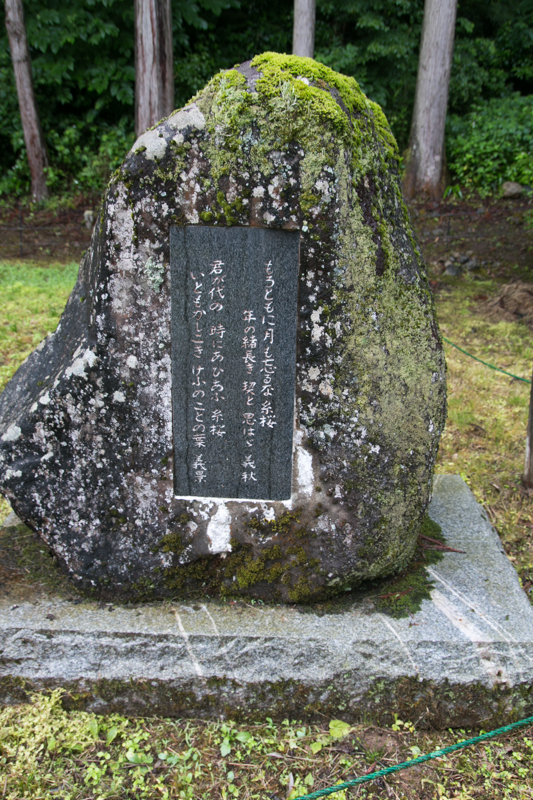 At this time the movement of Ikkoushu (a denomination of Japanese Buddhism) believers became active and frequently made rebellion, but Norikage defeated all uprising and kept the order of the country. Now Asakura clan became the strong warlord seized Echizen country uniformly. 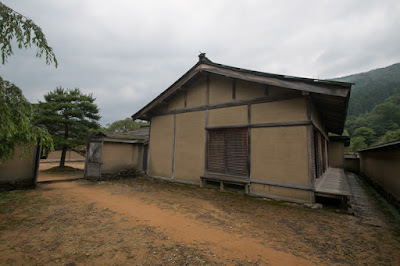 At the time of tenth leader Takakage Asakura (1493-1548, who intentionally had same name as seventh leader Takakage thus called by his Buddhist name Soujyun), Asakura clan became its peak. 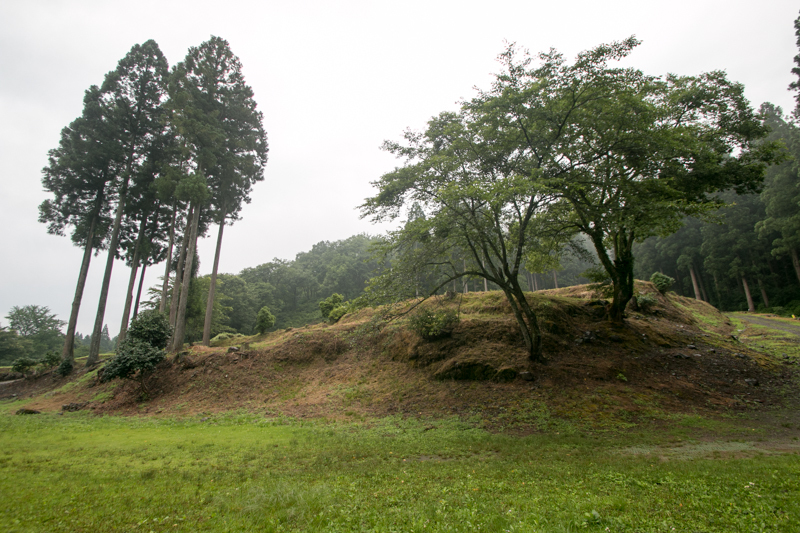 Souteki continuously activated as a pillar of the clan, made expeditions by order of Ashikaga shogunate and gained victory many times, and made the name of Asakura clan famous in central area. 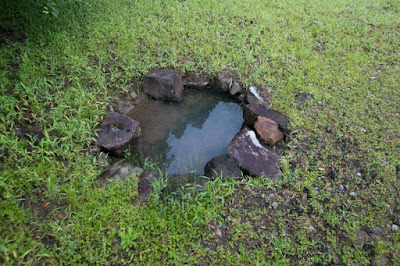 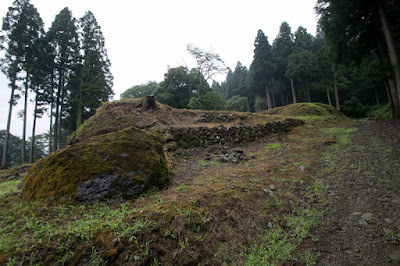 Norikage also supported Azai clan at Odani castle attacked by Rokkaku clan, and Azai clan which shared their fate with Asakura clan became subordinated to Asakura clan. 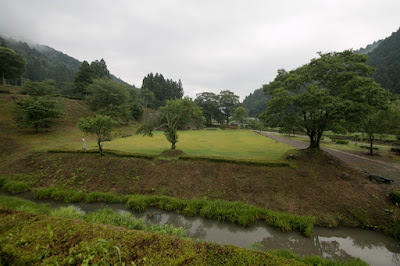 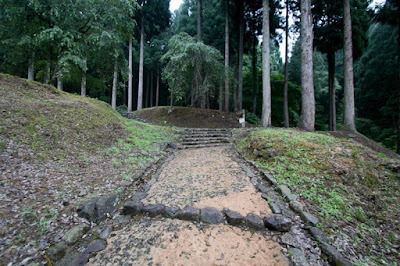 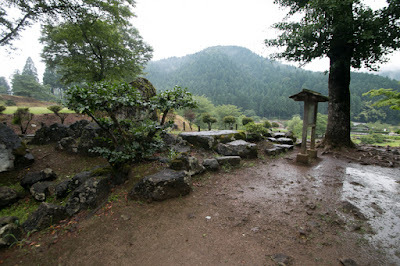 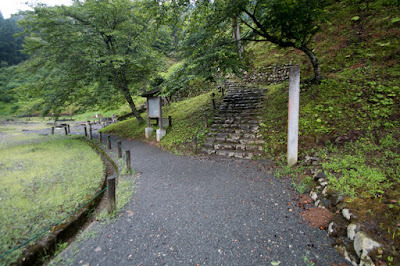 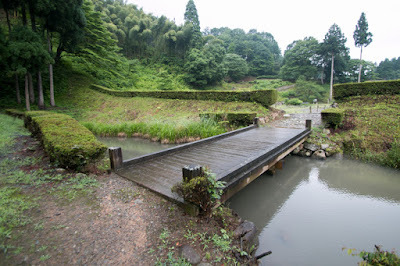 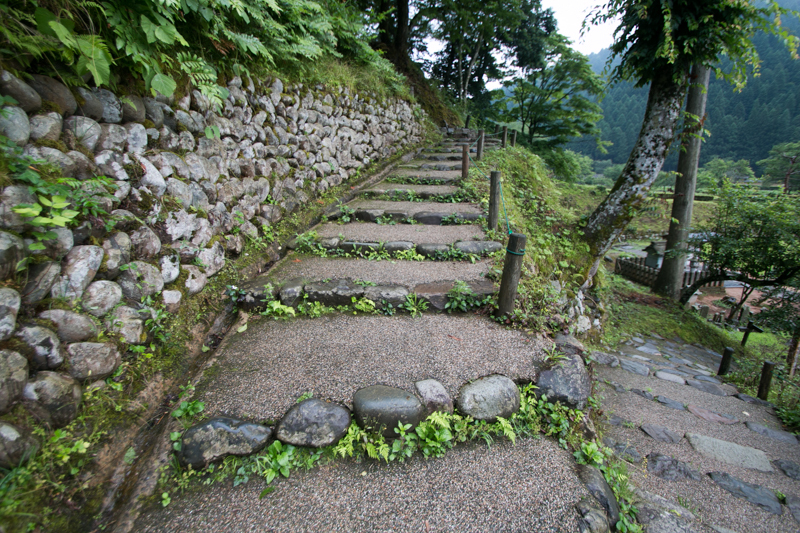 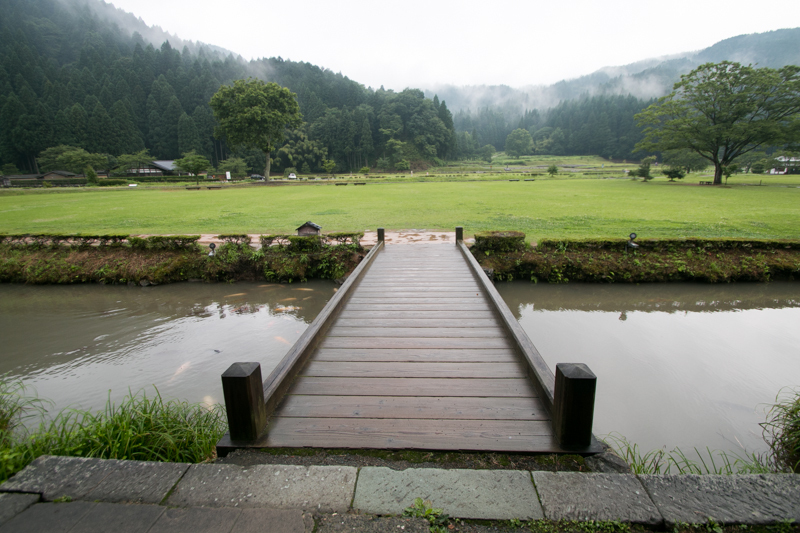 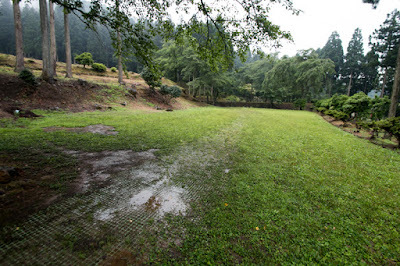 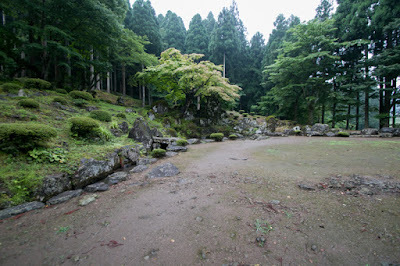 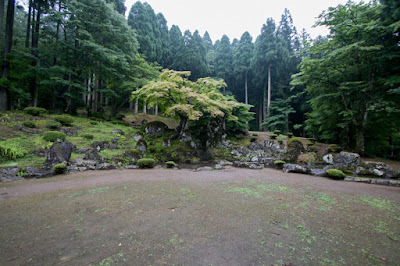 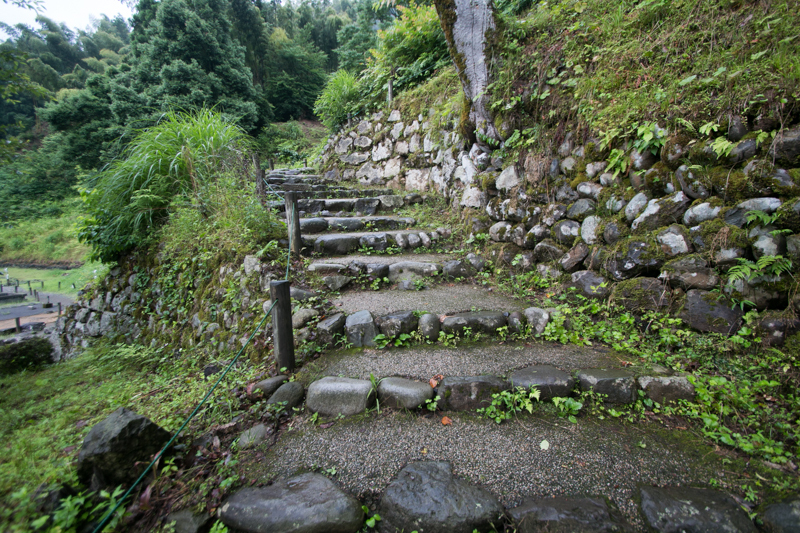 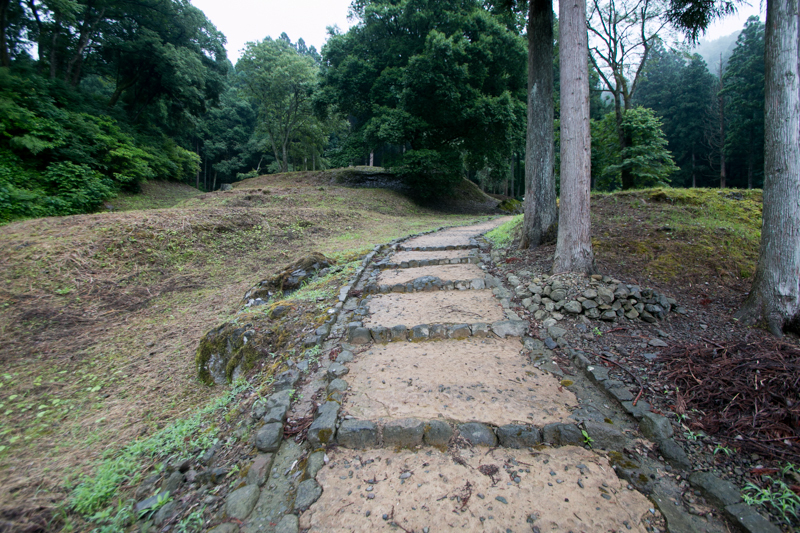 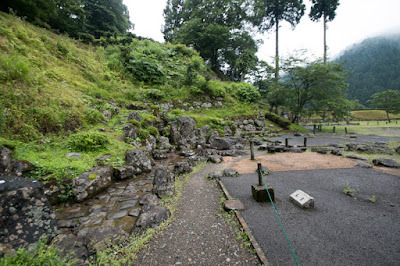 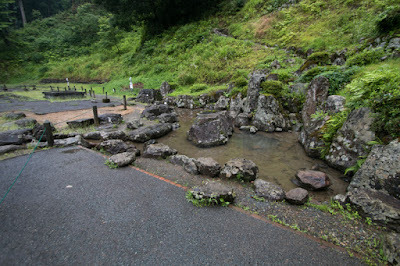 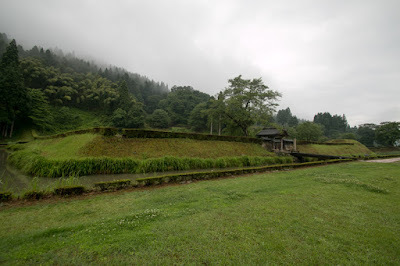 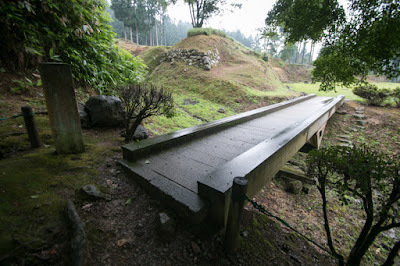 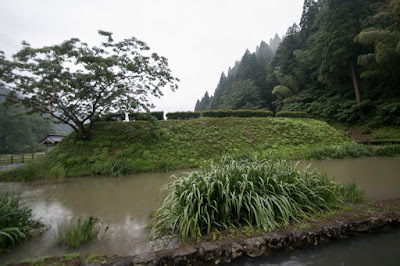 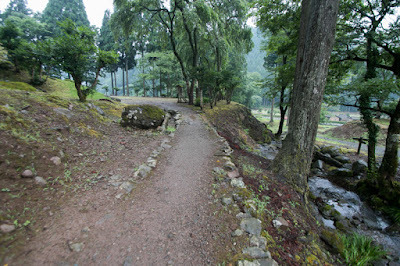 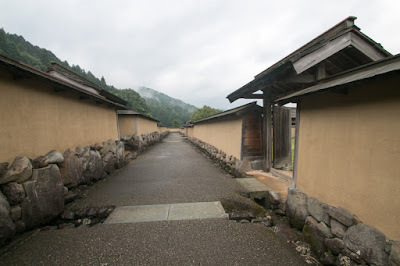 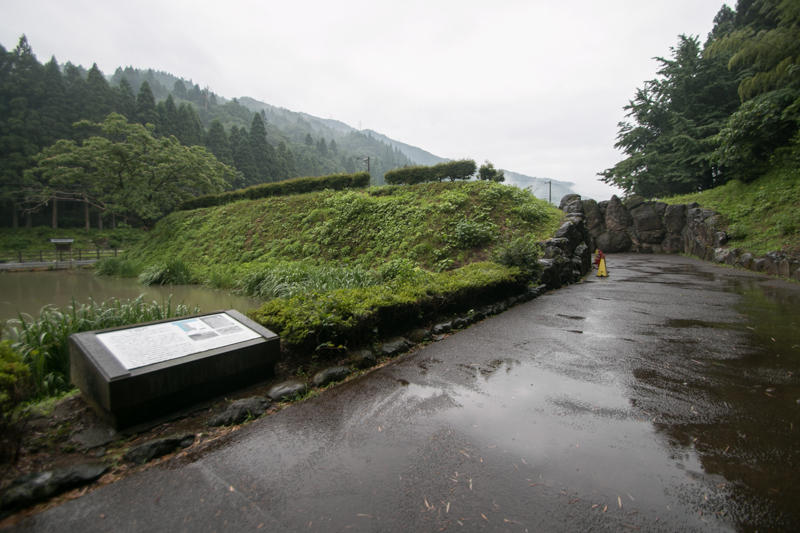 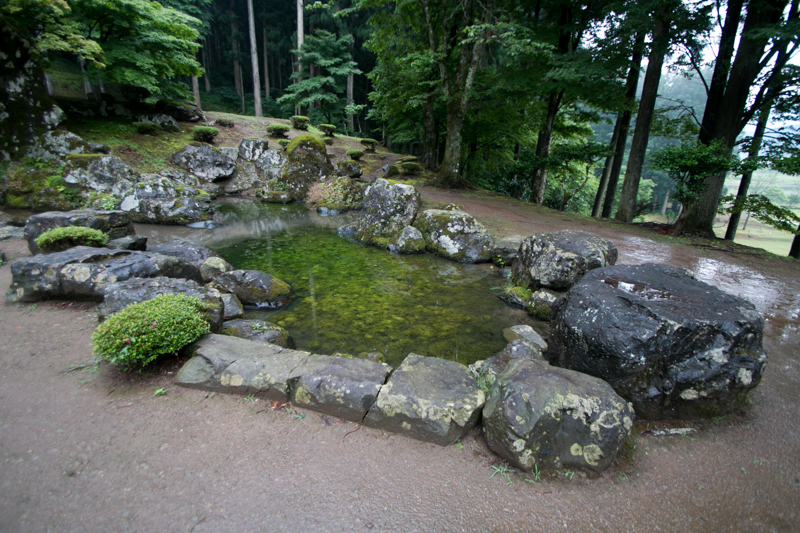 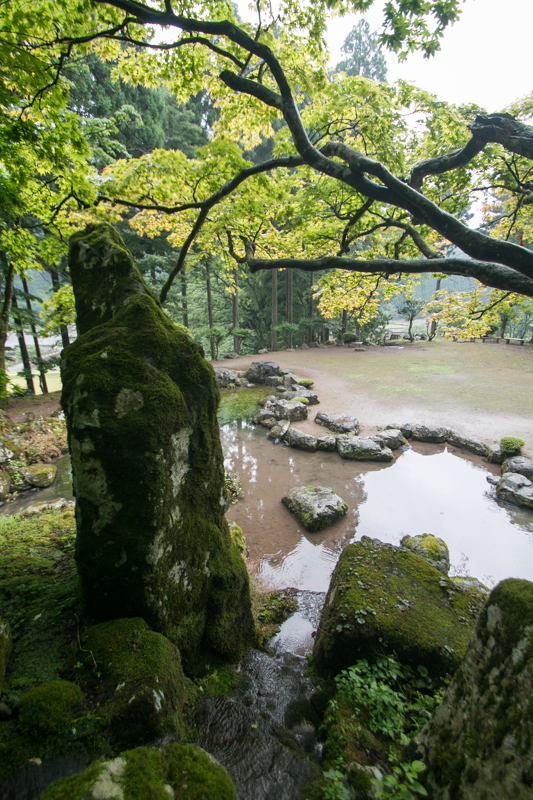 Now Asakura clan was trusted by Ashikaga shogunate and promoted to high class society, and its peaceful capital Ichijyodani valley prospered in commercial and cultural aspect. 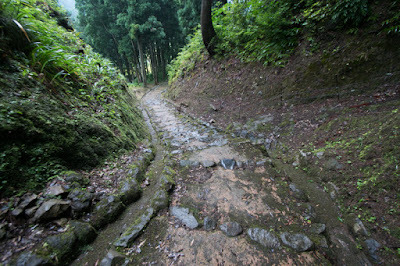 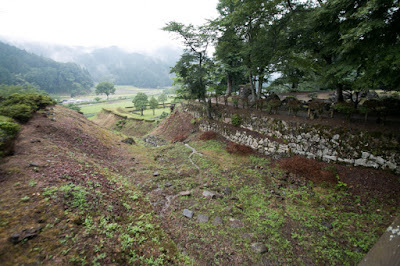 As above Ichijyodani valley was a narrow valley of three kilometer long along with Ichijyo river and spread to north and south direction. 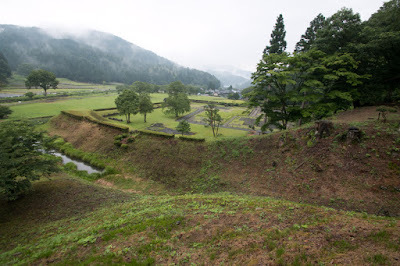 At the north and south edge of the valley there was a large barrier separate the valley from outside area, and on the mountains surrounded the valley there were castles and forts to guard the valley. 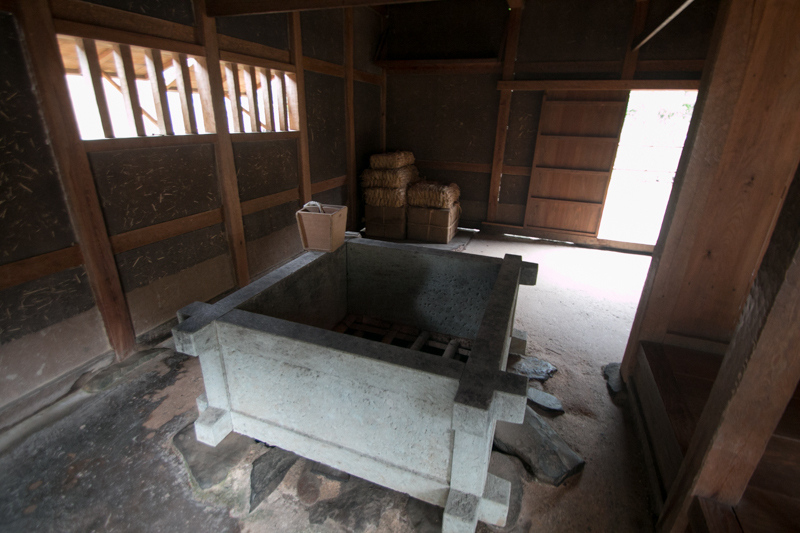 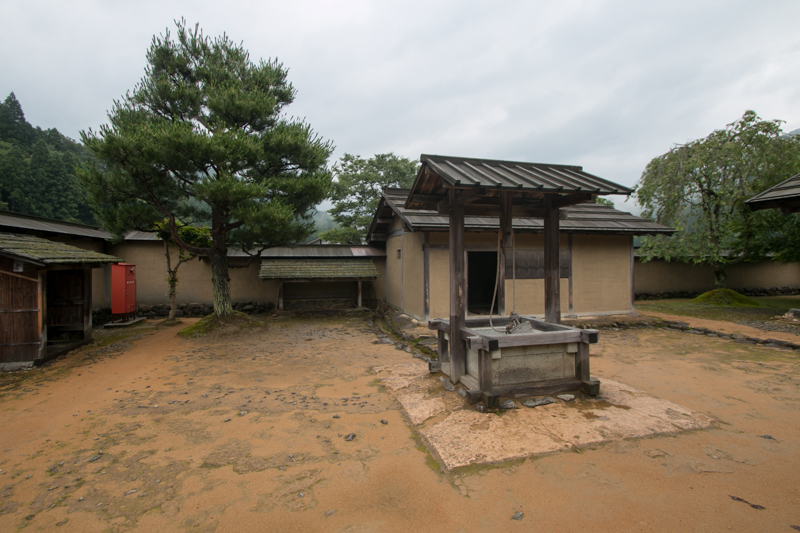 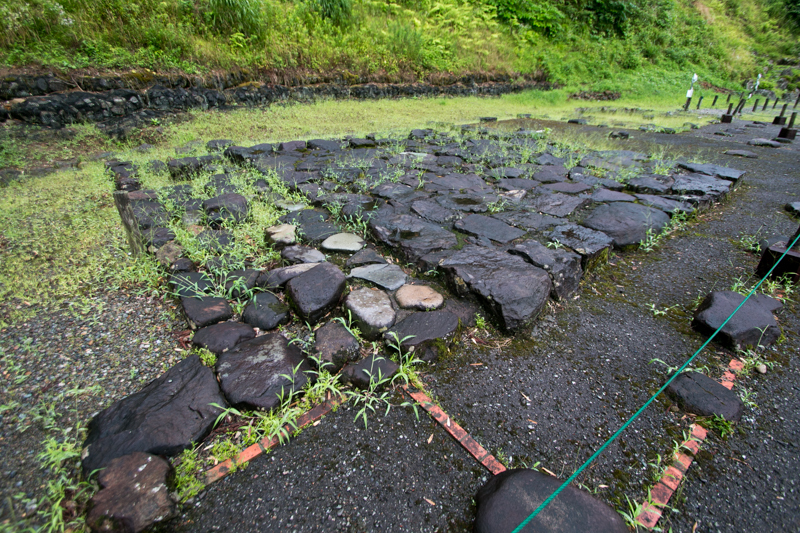 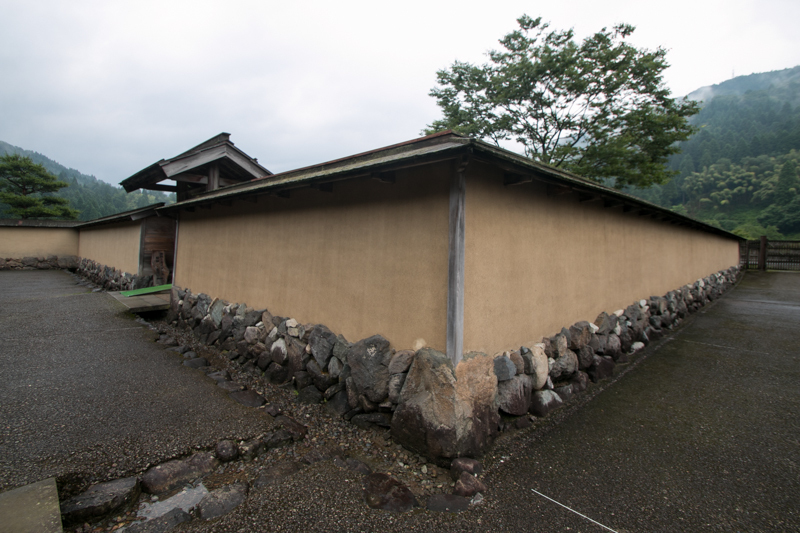 The residence of Asakura clan was placed at the middle part of east riverside, and this residence was built in the square shaped one surrounded by clay walls and moats, the same shape of the residence of Muromachi Shogun in Kyoto. 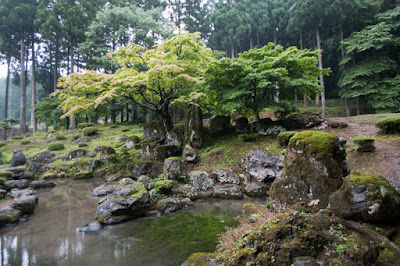 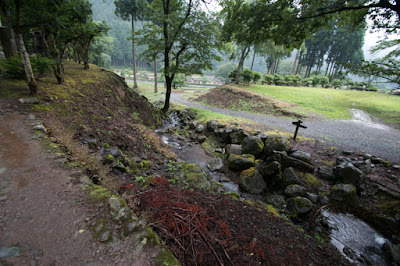 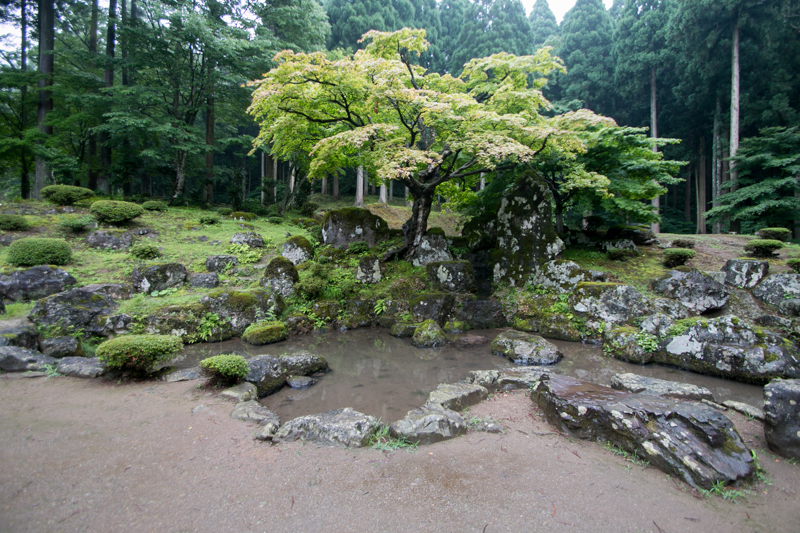 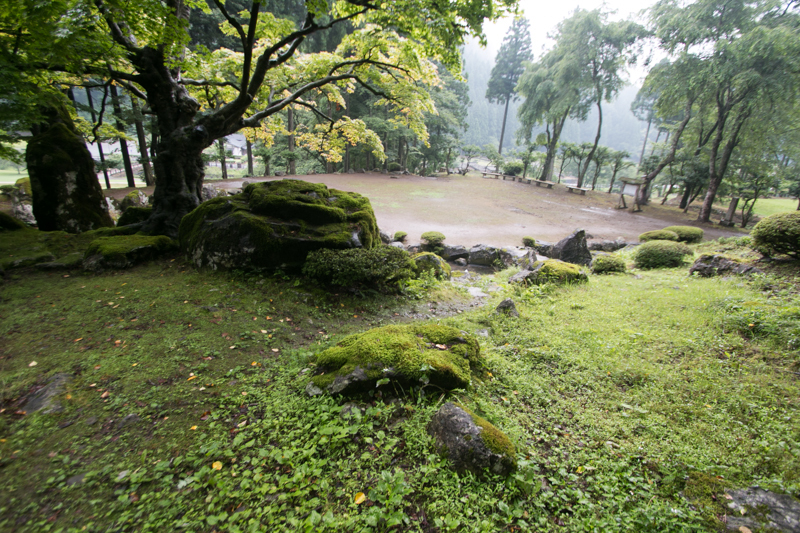 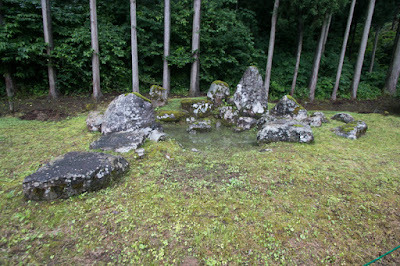 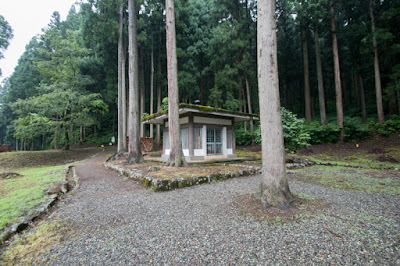 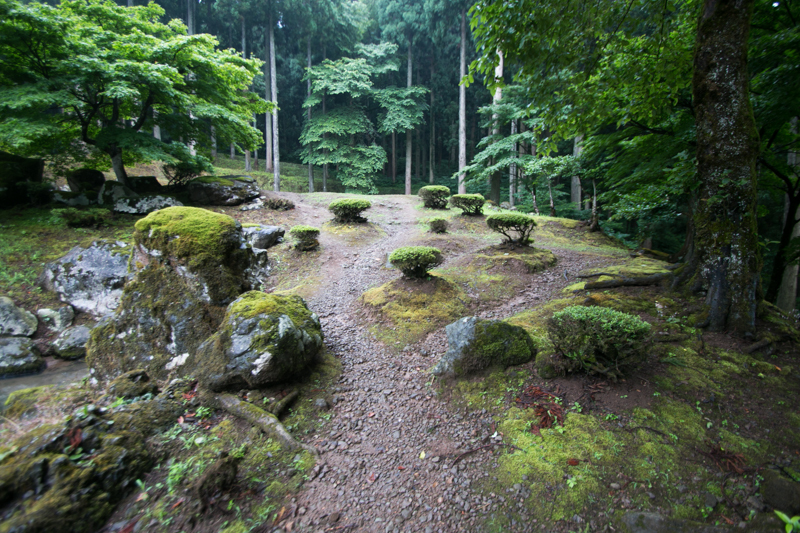 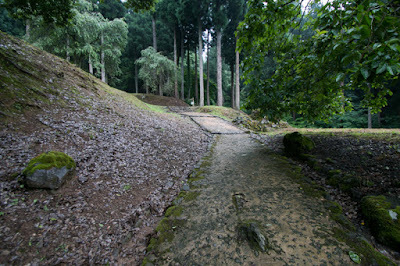 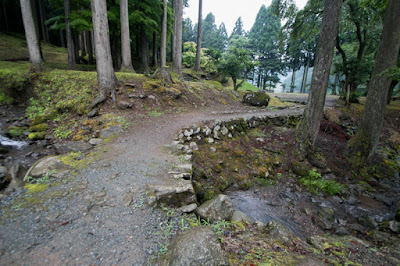 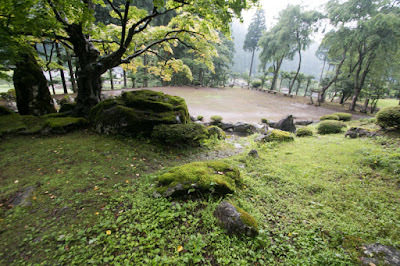 Other than main buildings there were tea rooms and cottages, and there were several beautiful Japanese gardens. 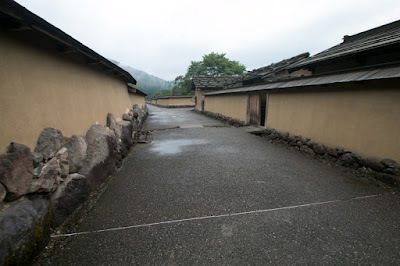 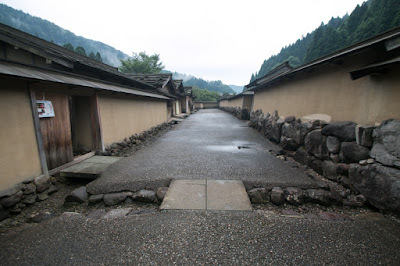 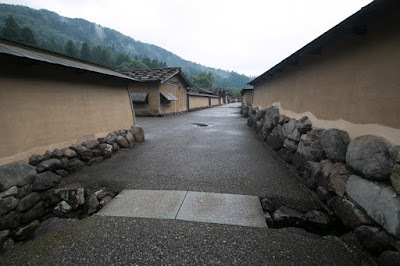 Castle town spread all over the valley, and different from later castle town the dwelling of retainer and merchants were mixed, even though high class retainers lived near the residence of the clan. 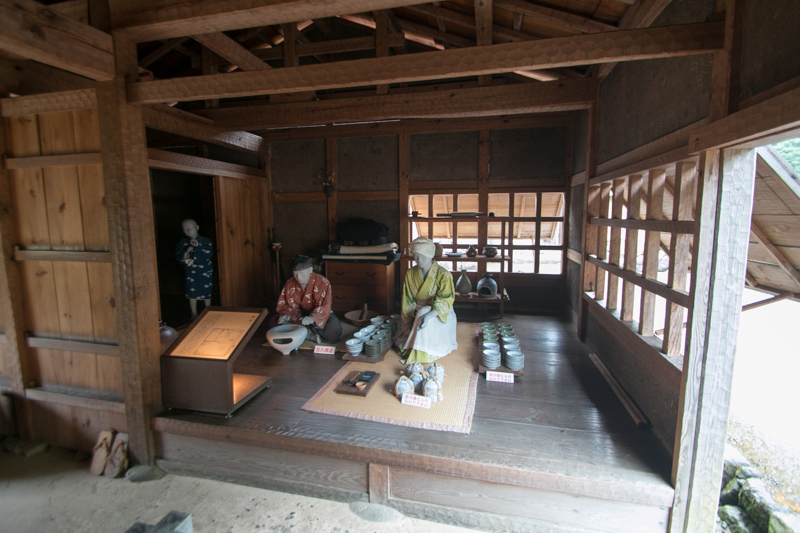 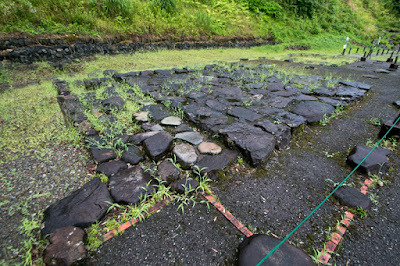 Many kind of merchants and craftsman such as grocery, cloth stores, smithy, carpenters or doctors lived this town, and many temples and shrines also existed in the town. 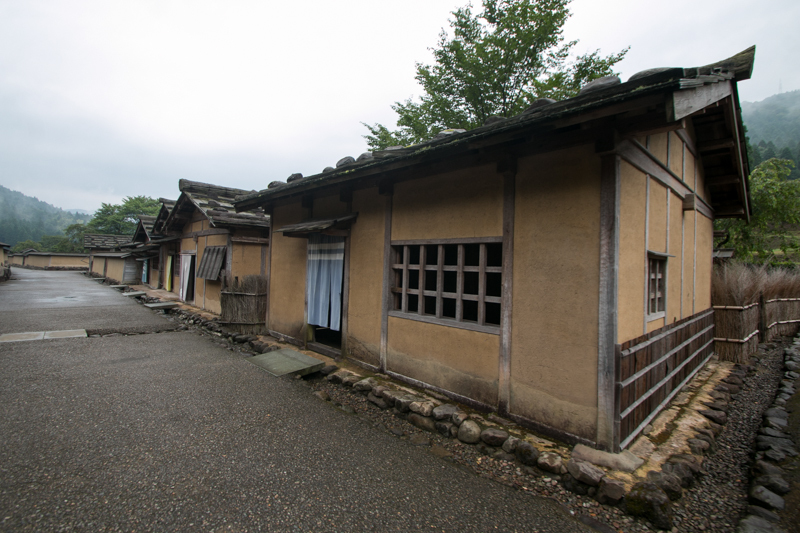 Even though smaller than Kyoto or other cities, Ichijyodani city was a highly organized and prosperous city, held over 10 thousand people. 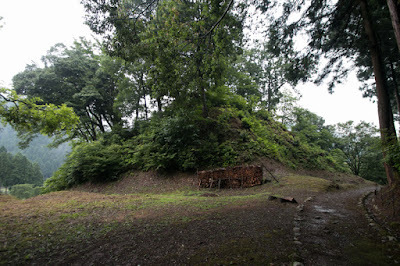 At the backside of the residence of the clan, at the height of nearly 500 meter above sea level, there was a large mountain castle which was used as an evaluation place. 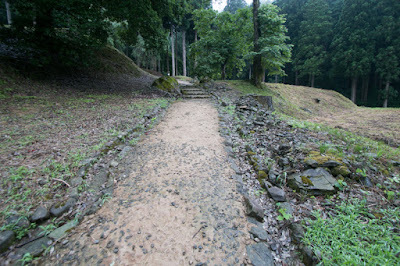 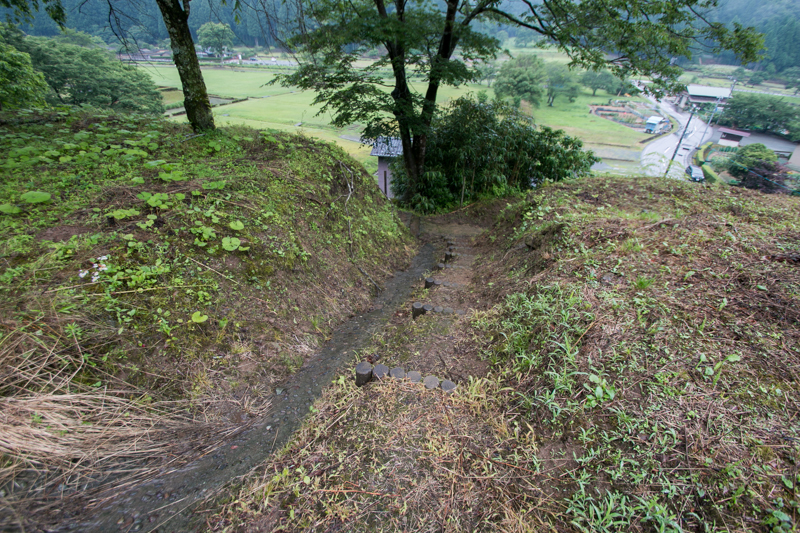 To reach the mountain castle it is necessary to climb steep climbing road over 30 minutes, and at the hilltop many areas separated by clay wall and dry moats spread along the ridge. 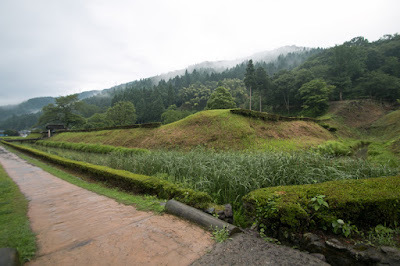 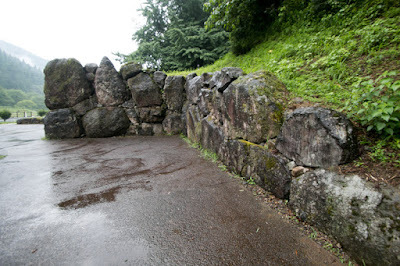 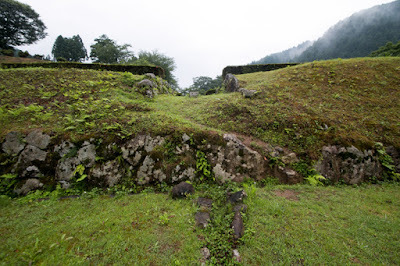 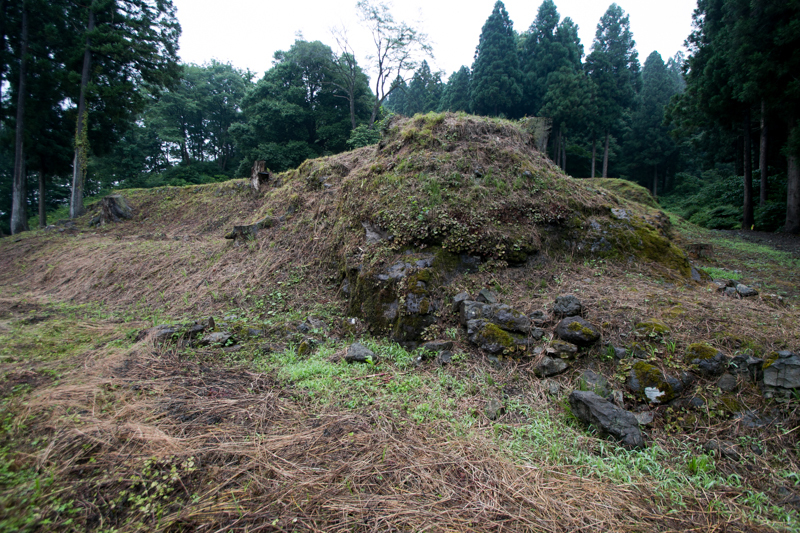 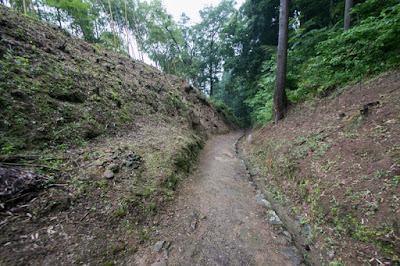 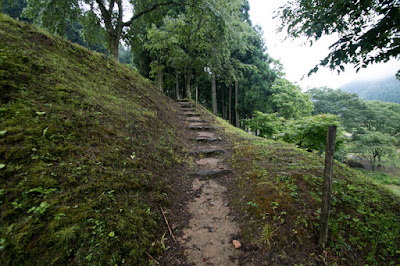 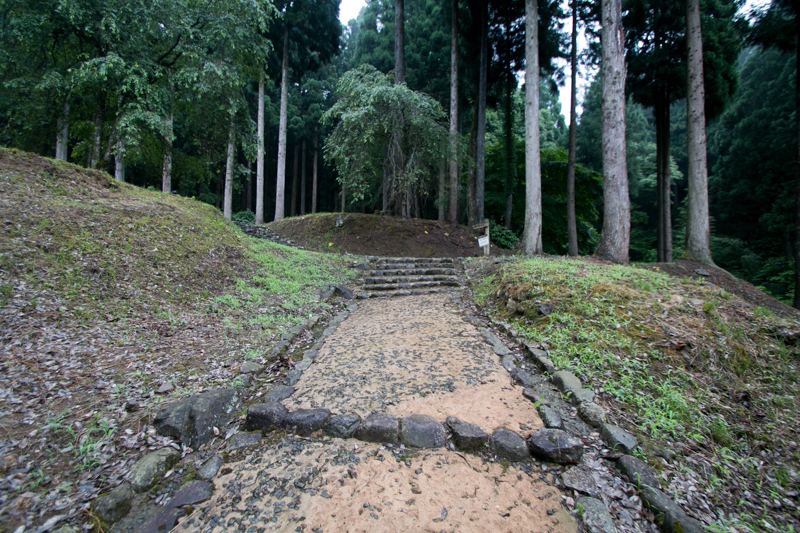 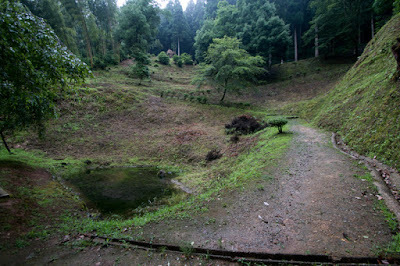 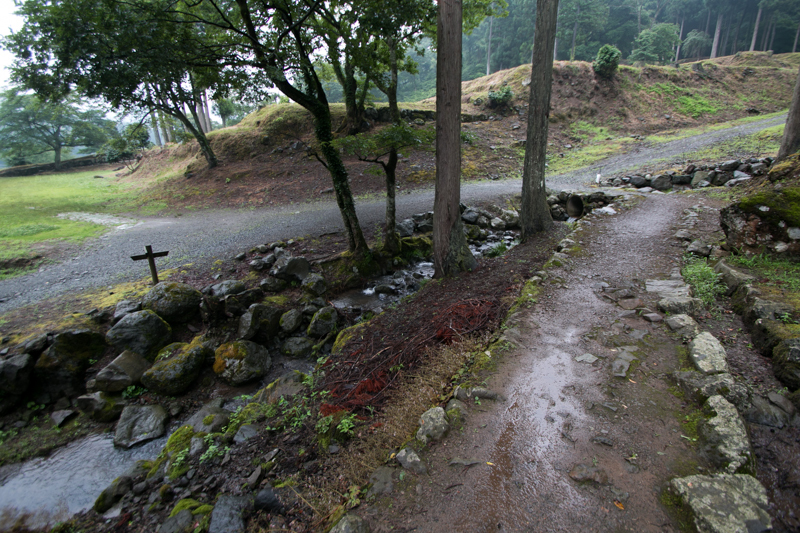 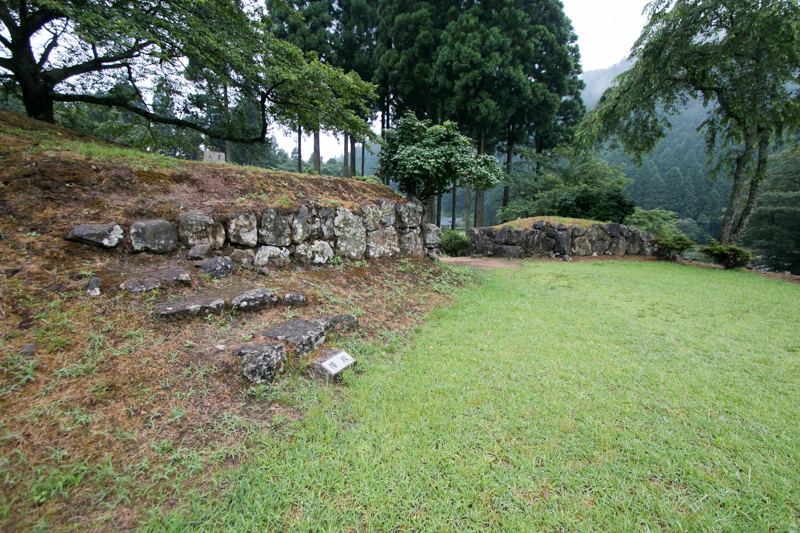 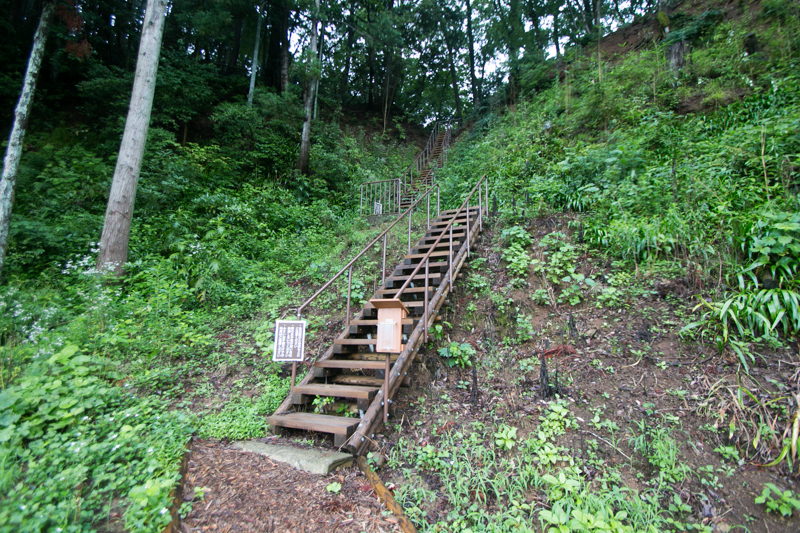 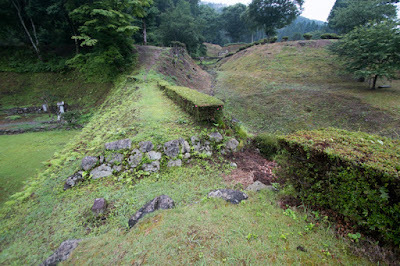 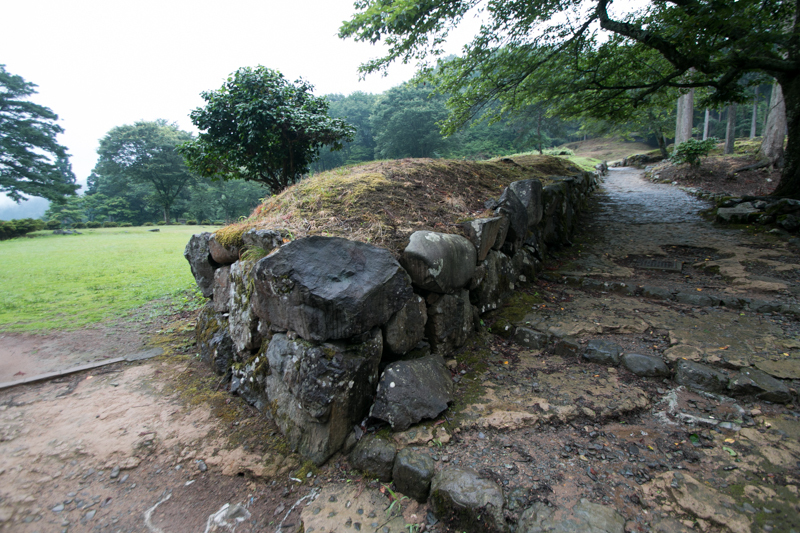 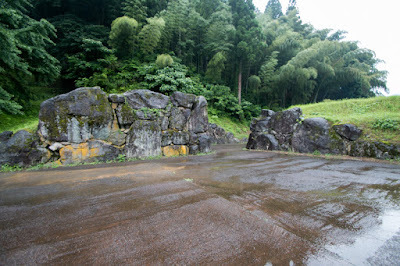 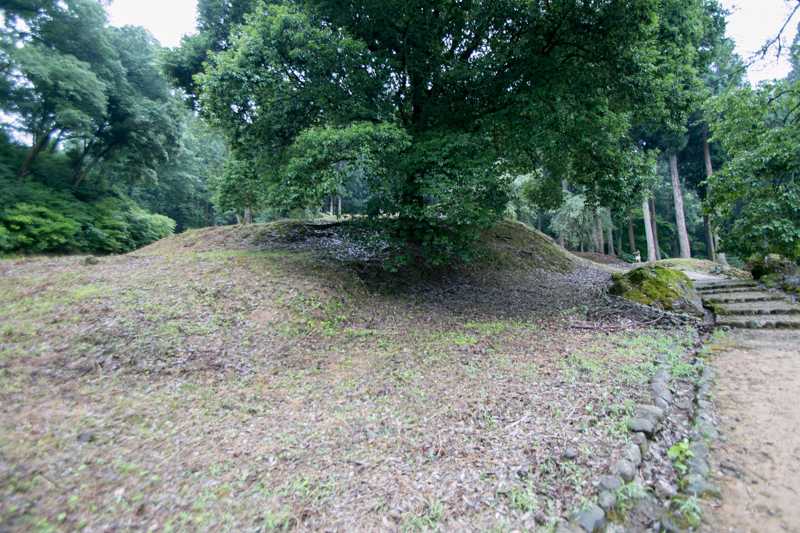 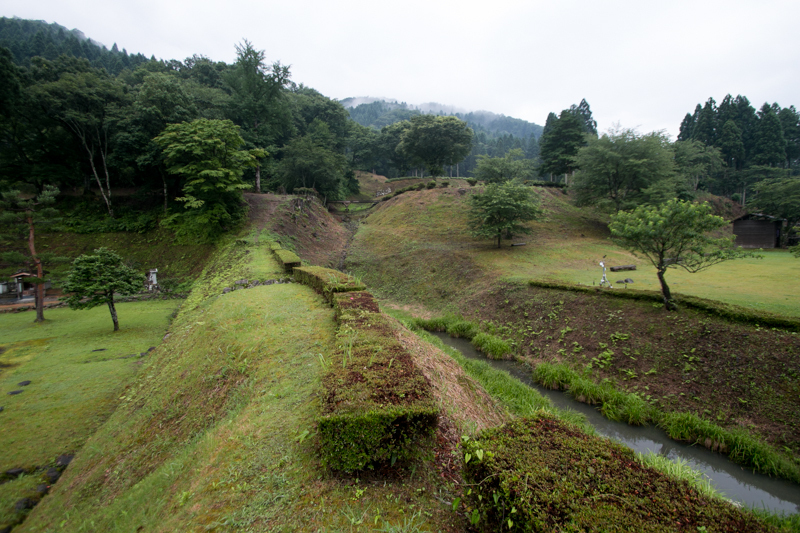 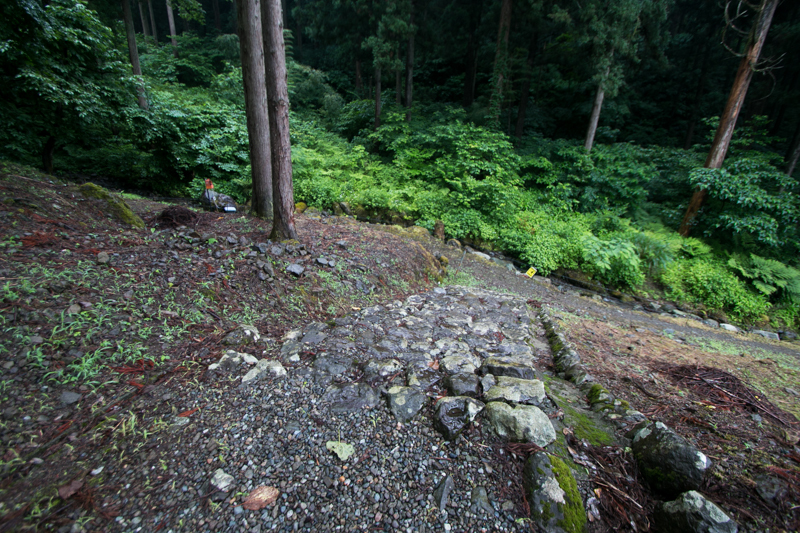 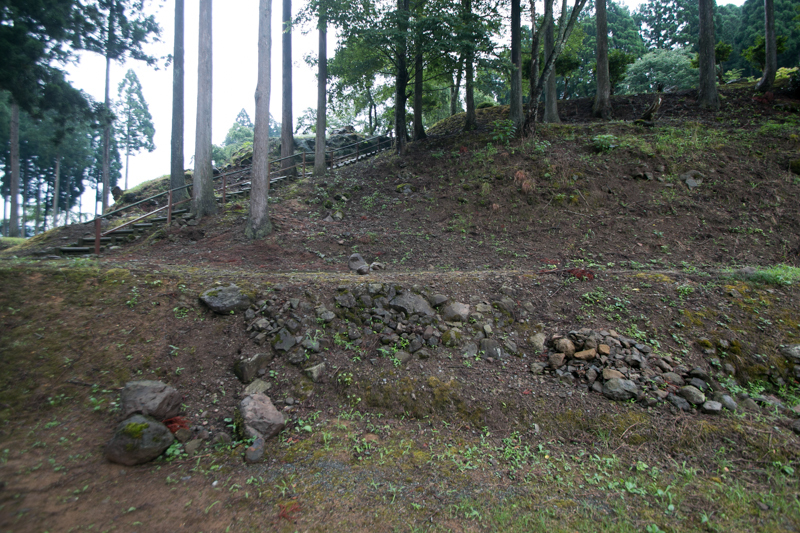 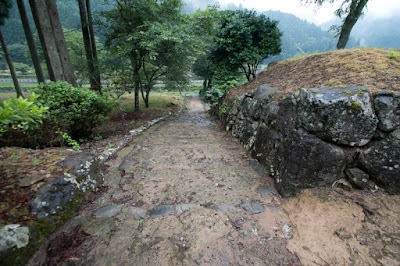 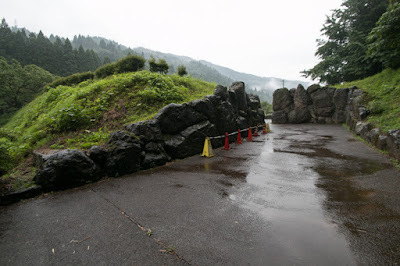 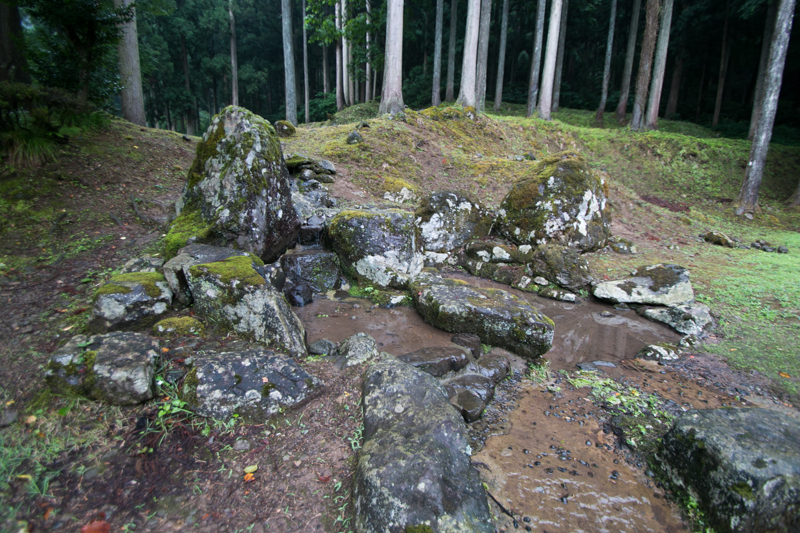 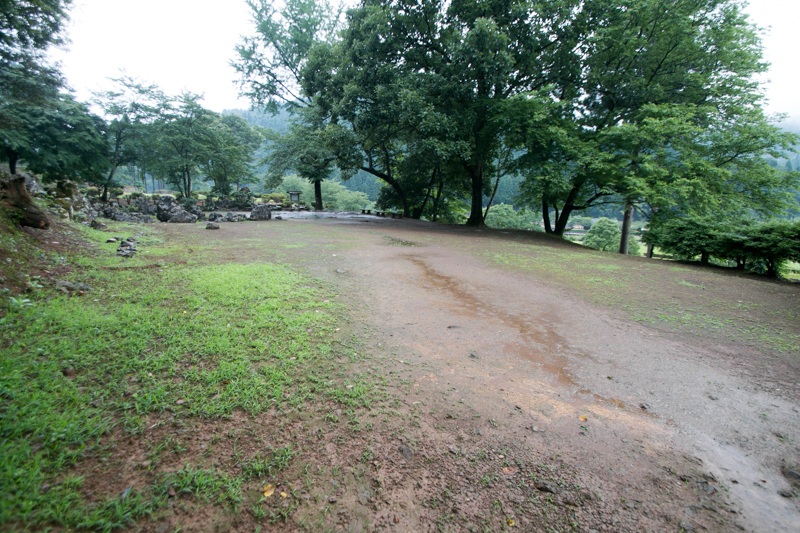 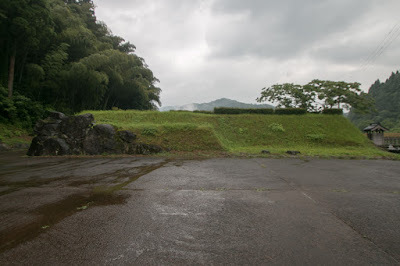 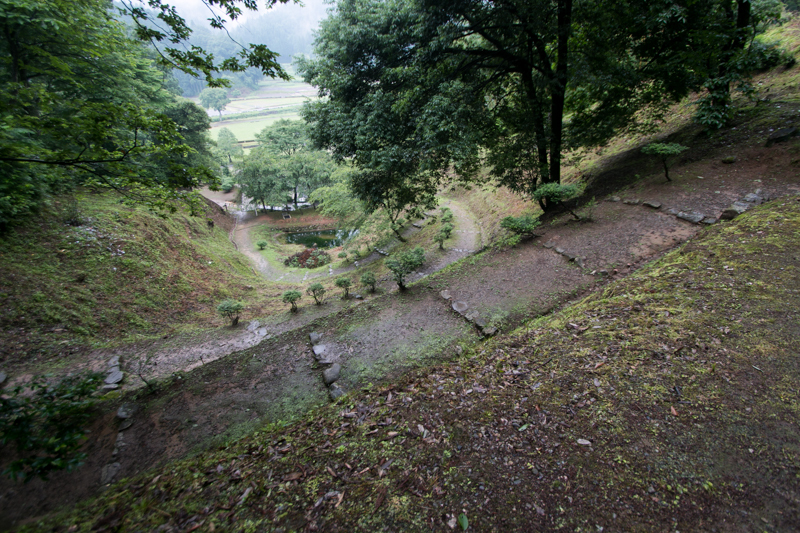 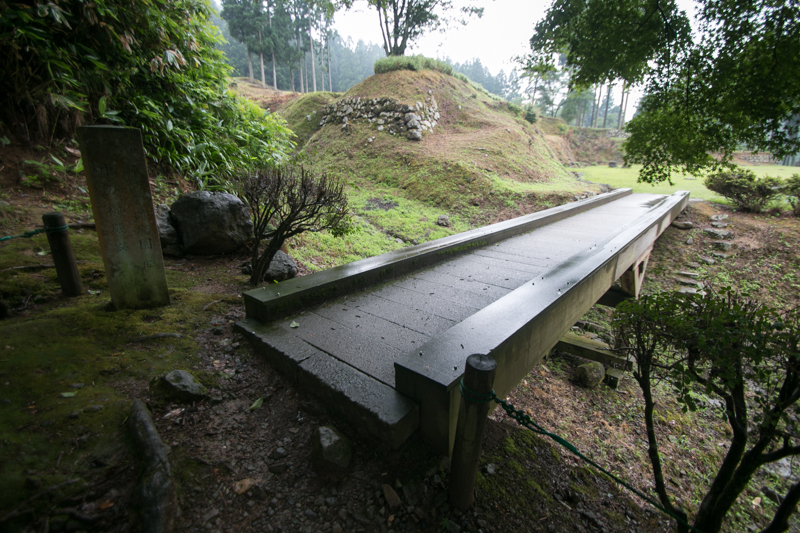 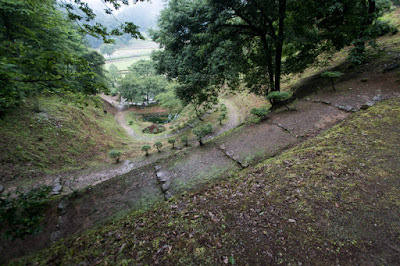 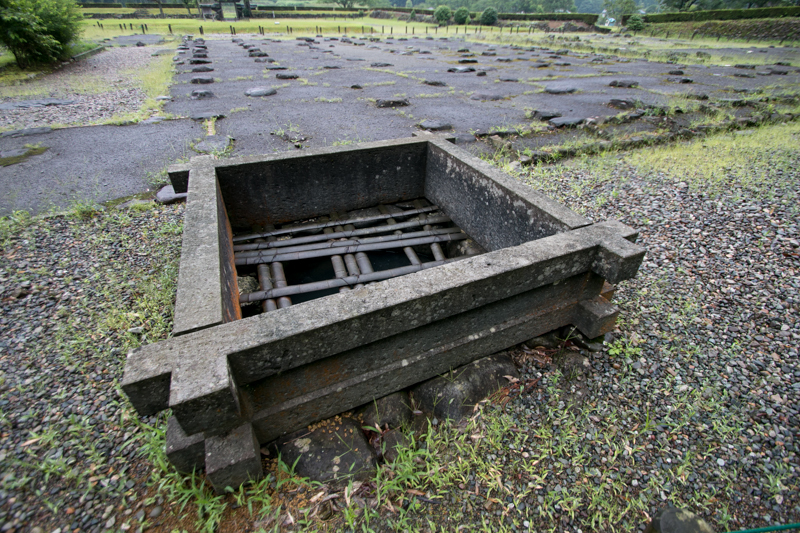 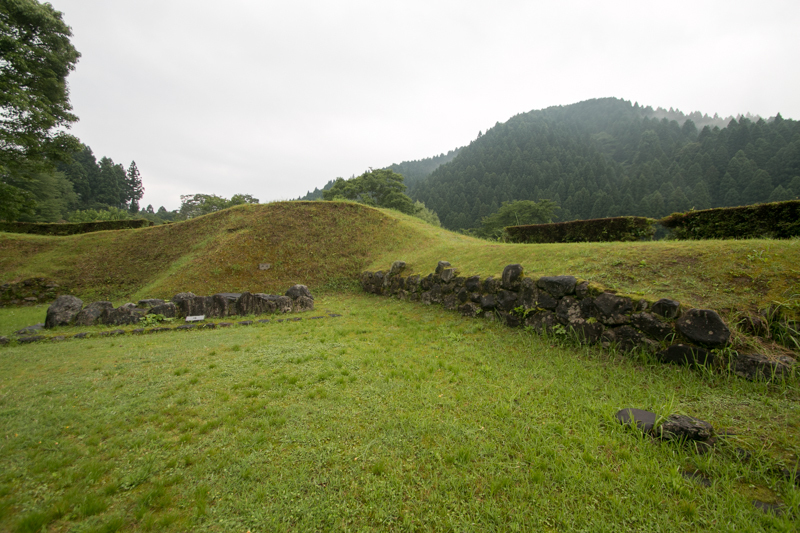 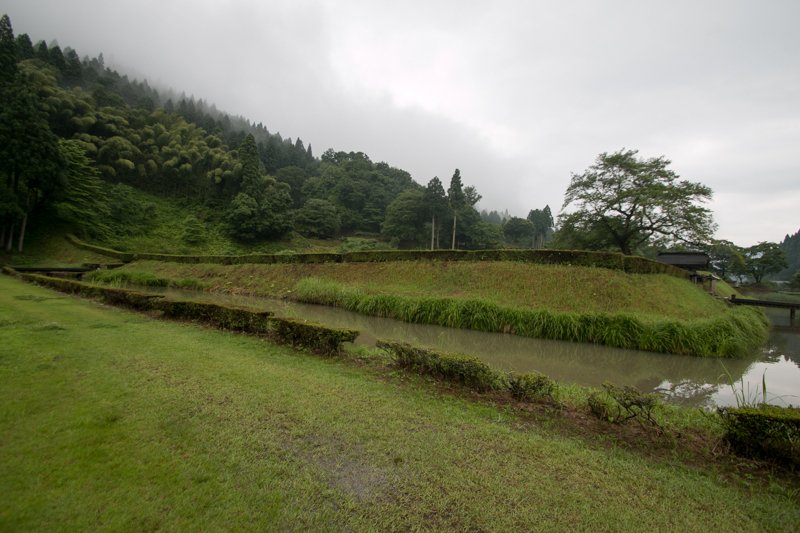 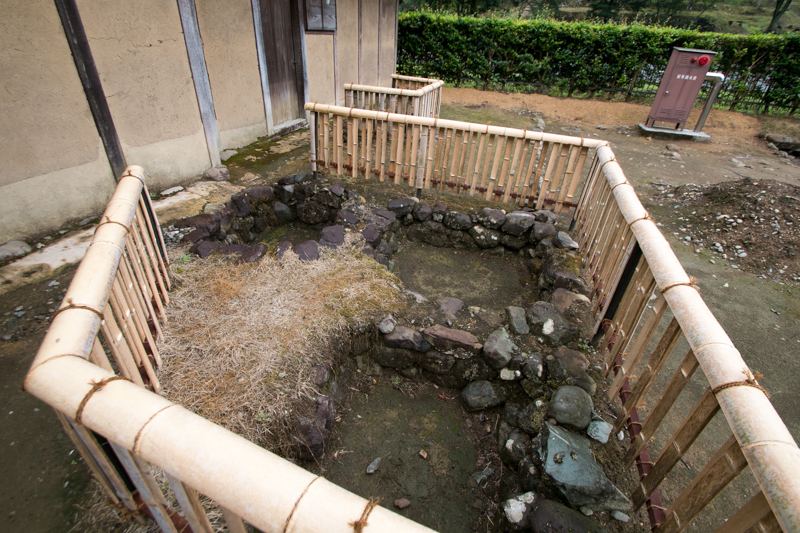 Central areas of the castle have simple structure and built in early days, but outer area of the castle had advanced defense facilities such as complex gate or winding dry moats cover the slope, and is expected to be expanded facing conflict against Oda clan around 1570. In 1548, 11th and the final leader Yoshikage Asakura (1533-1573) succeeded leader position. 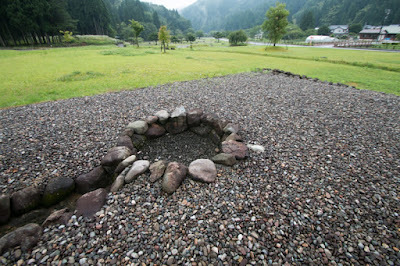 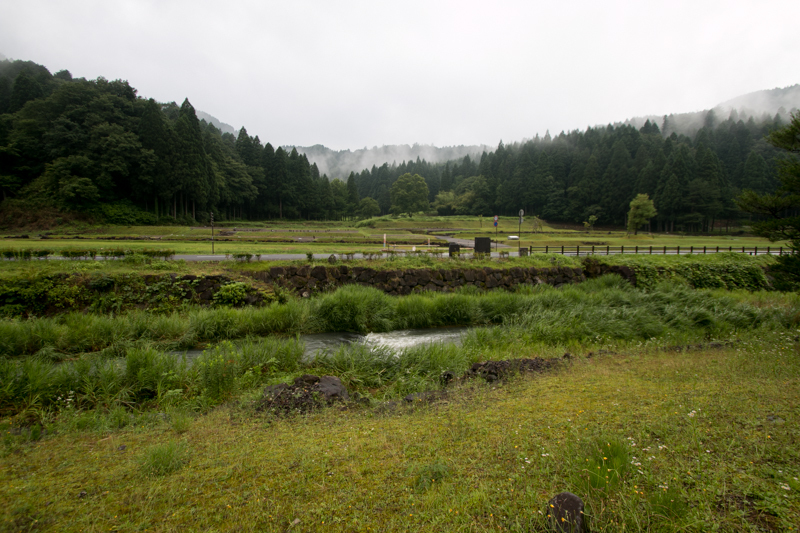 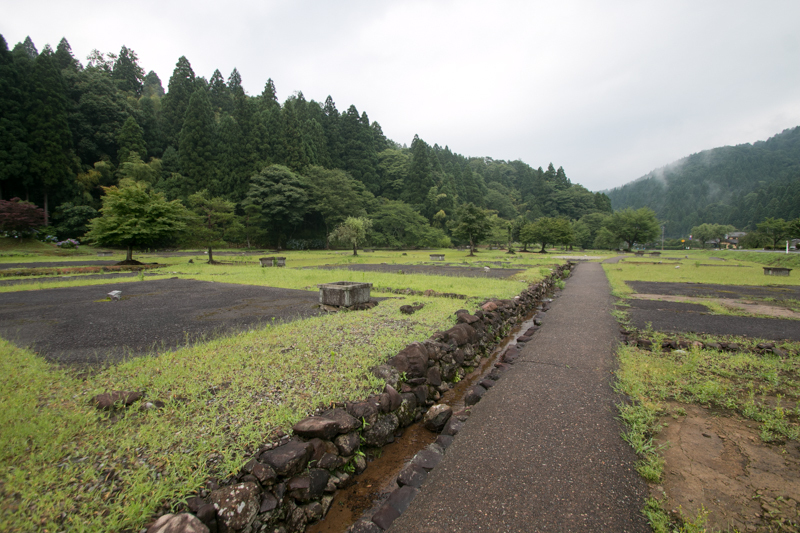 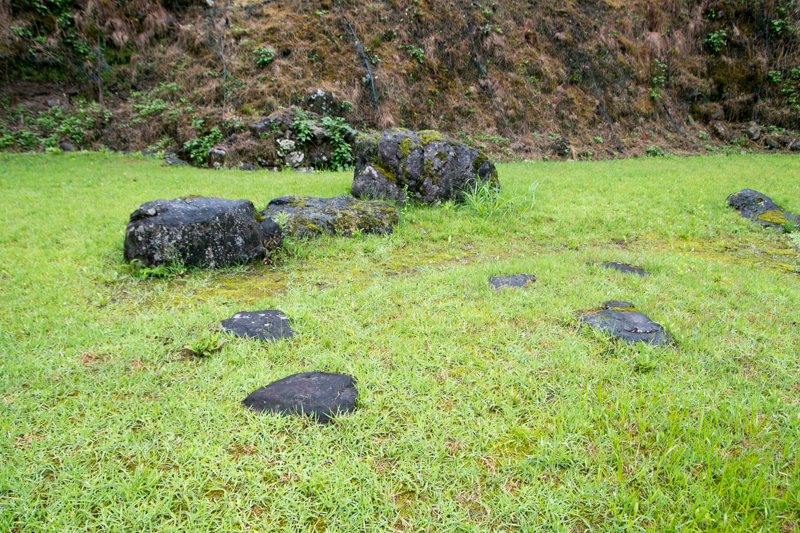 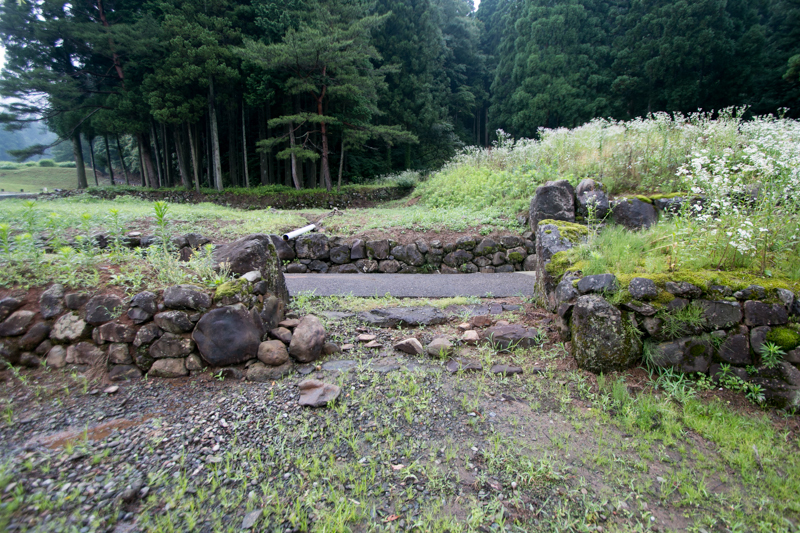 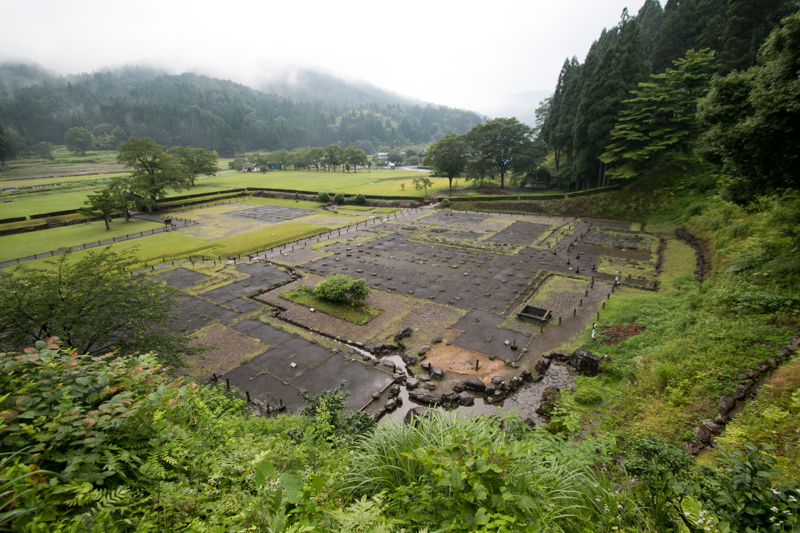 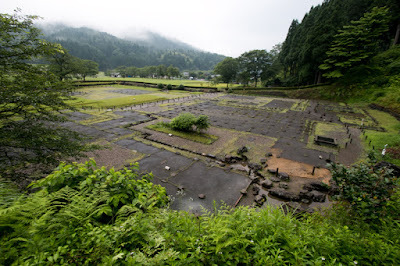 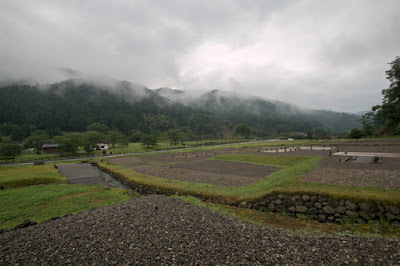 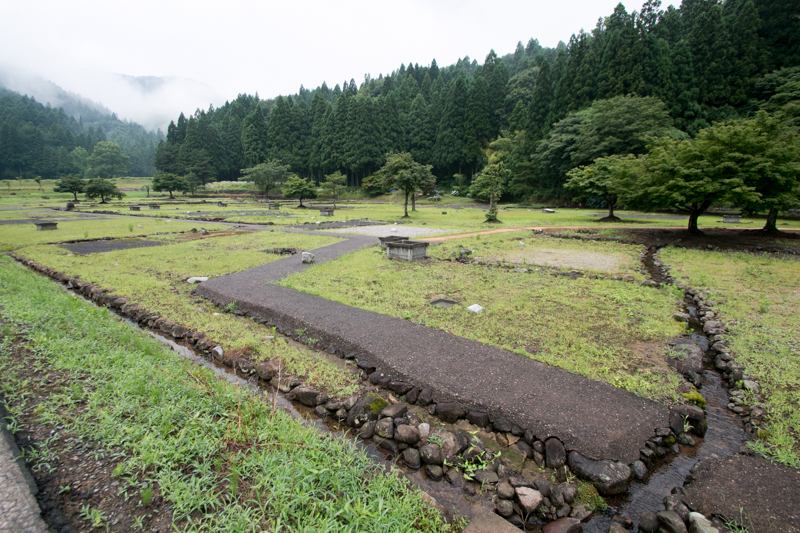 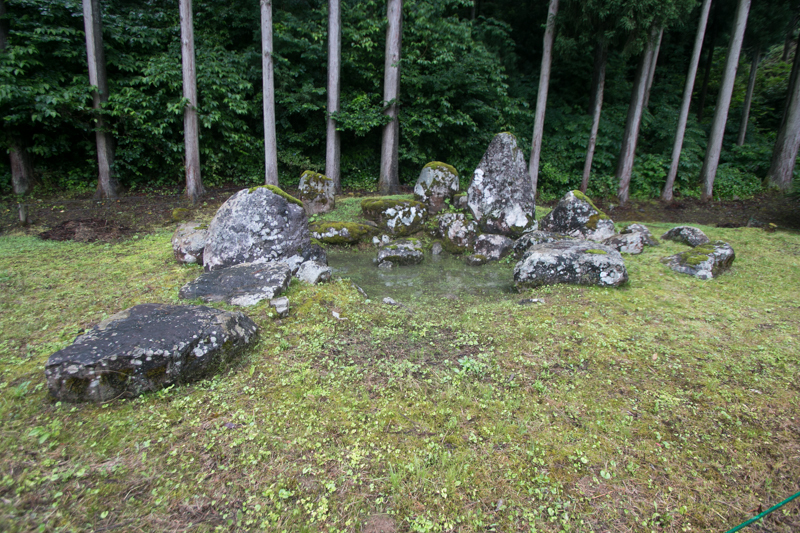 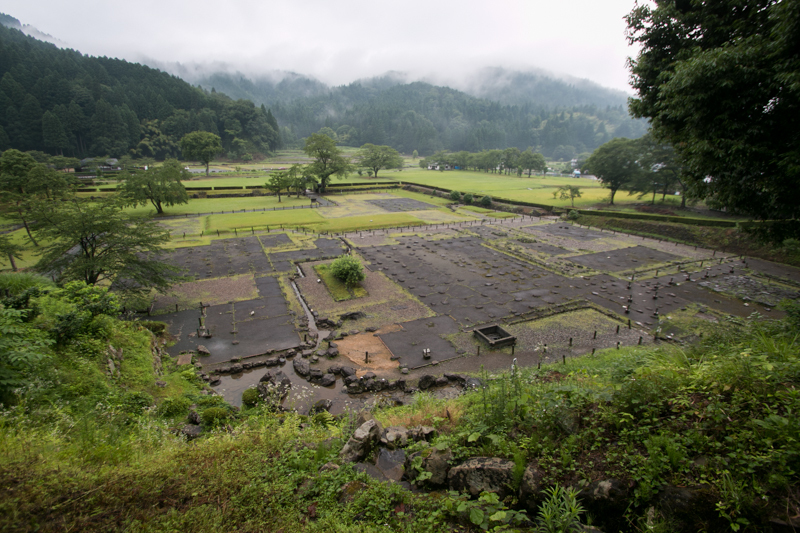 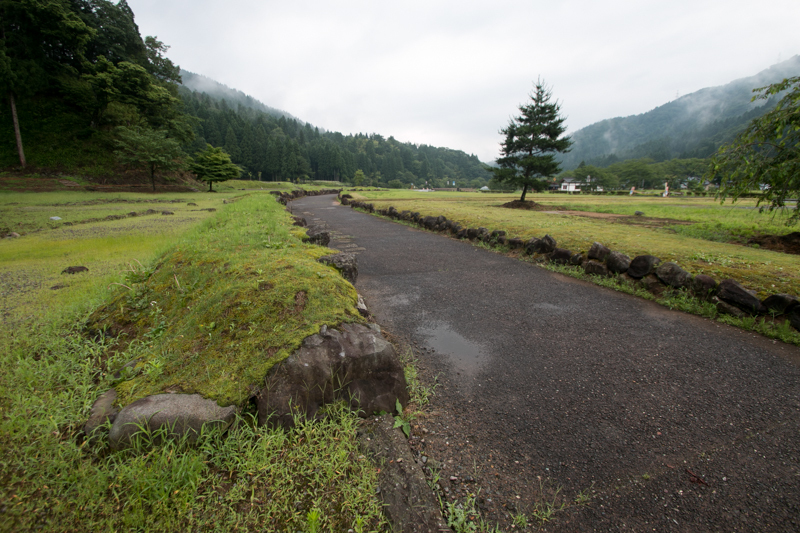 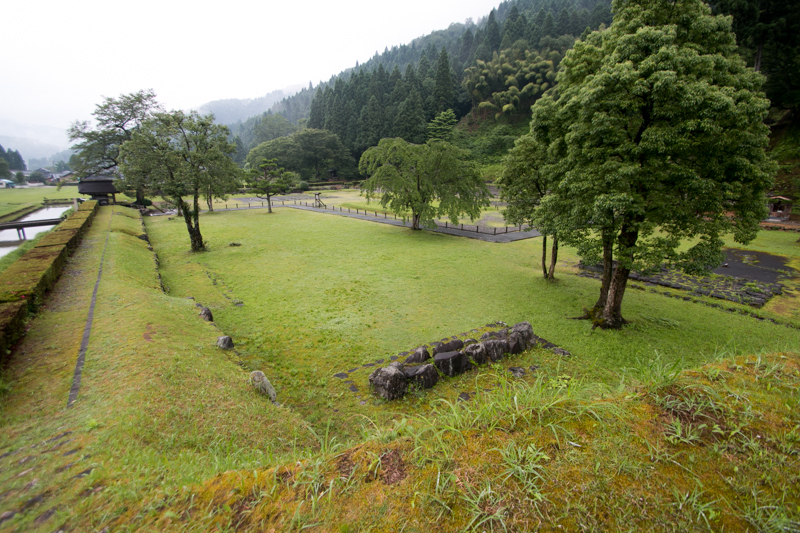 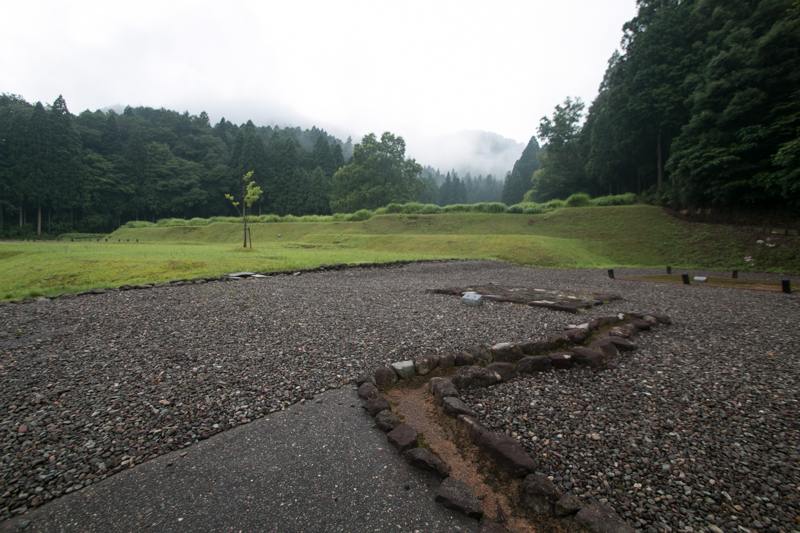 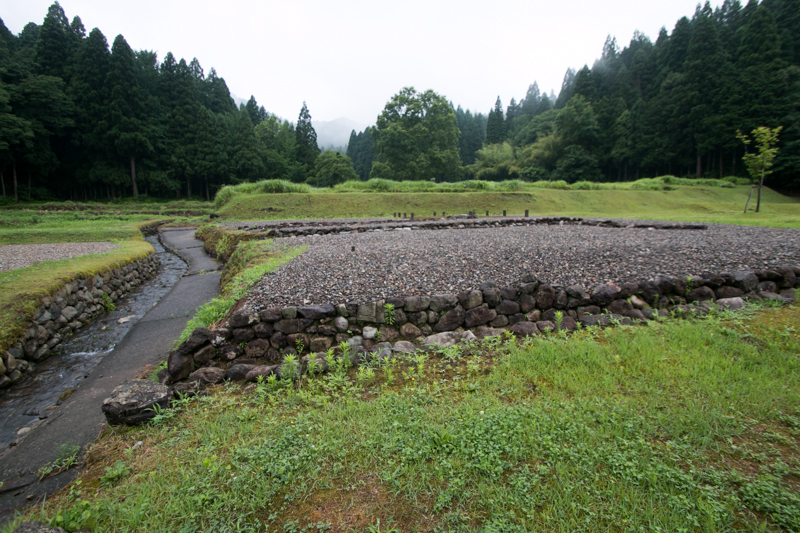 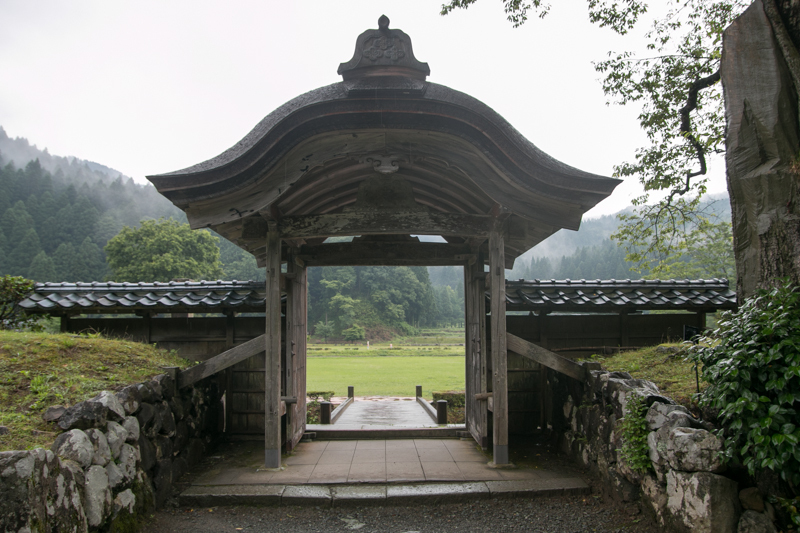 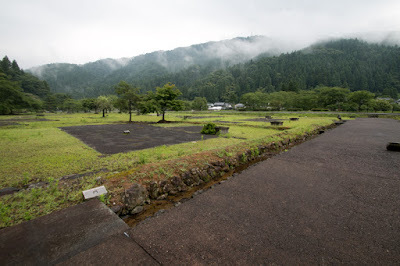 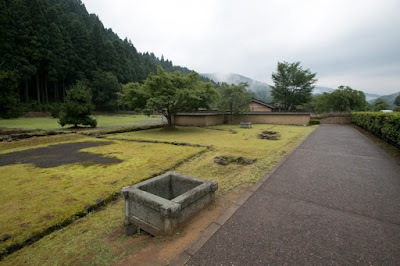 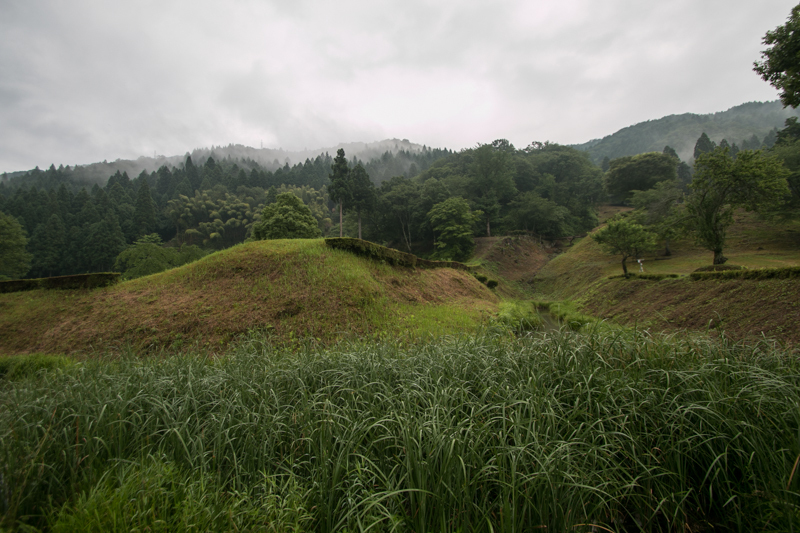 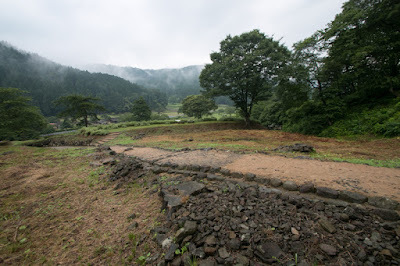 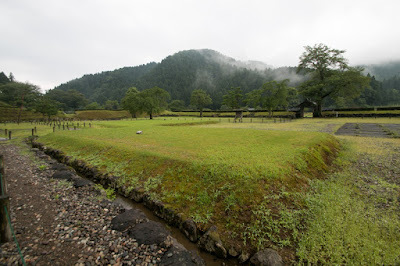 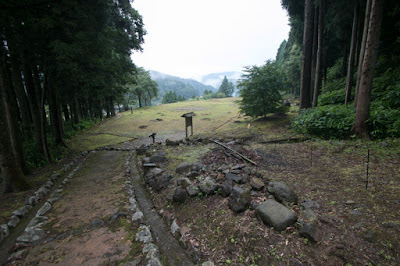 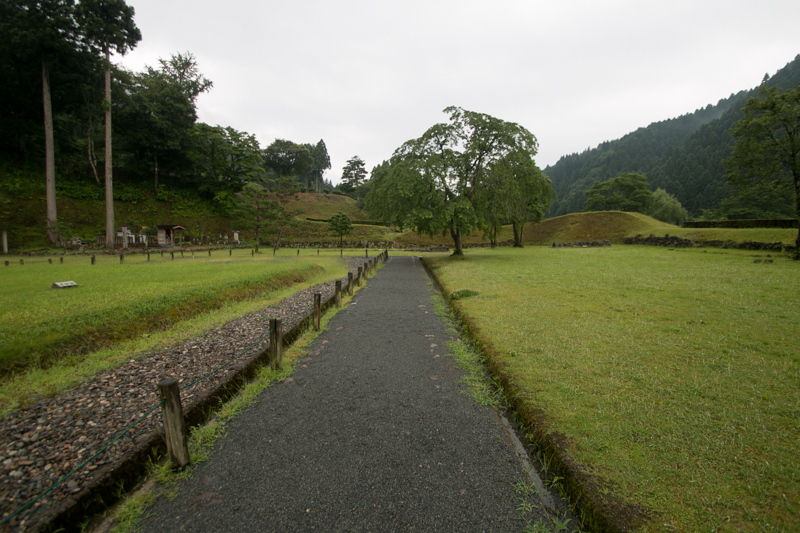 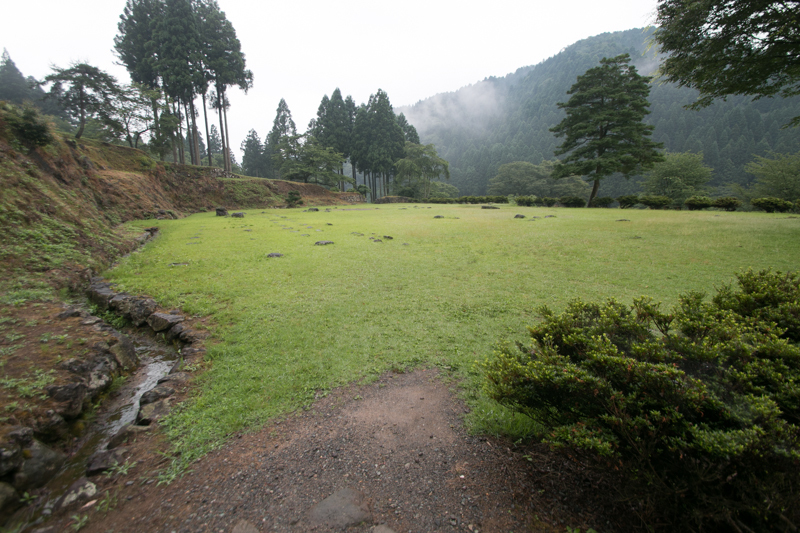 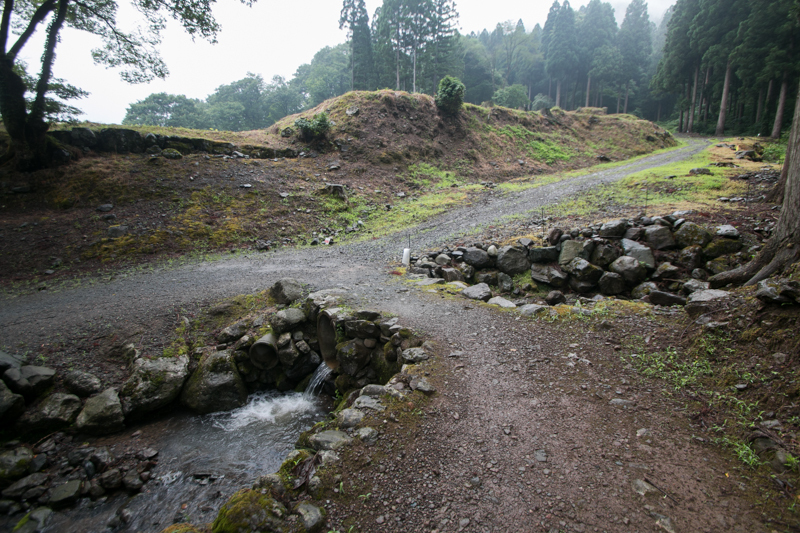 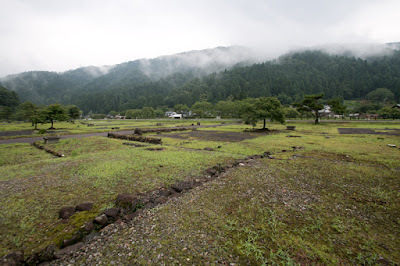 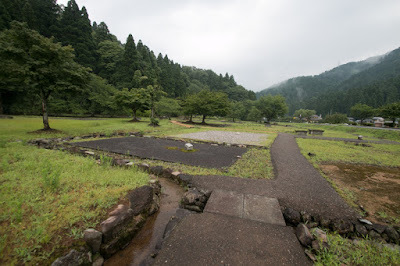 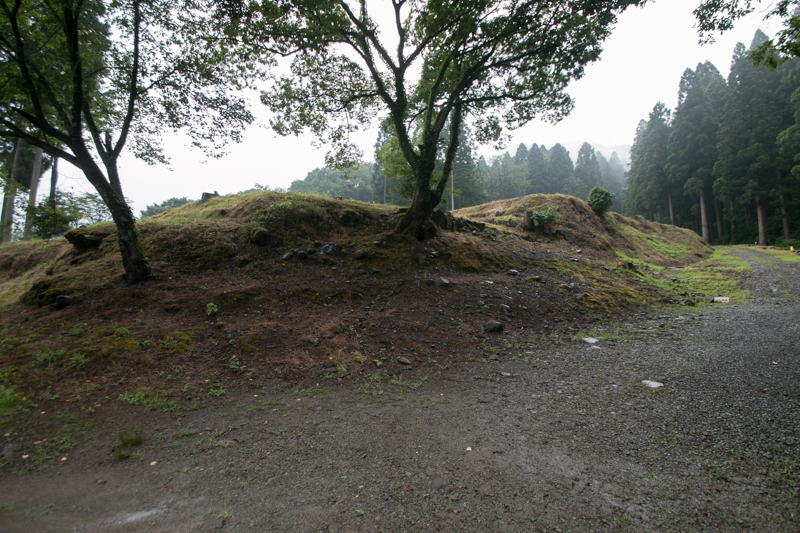 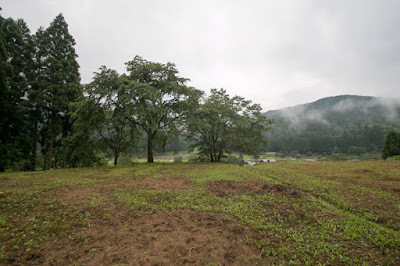 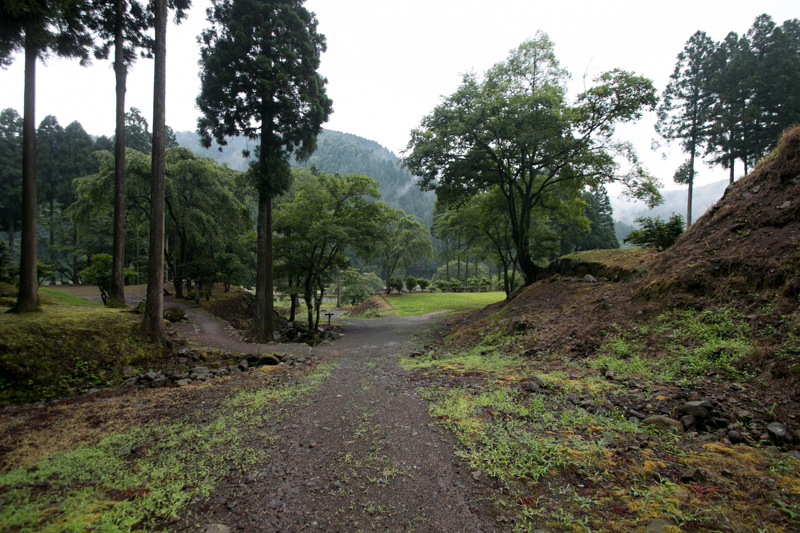 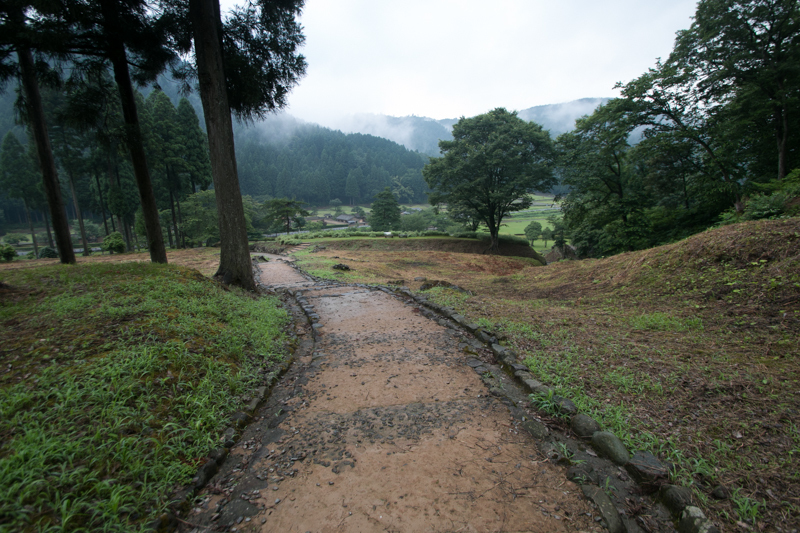 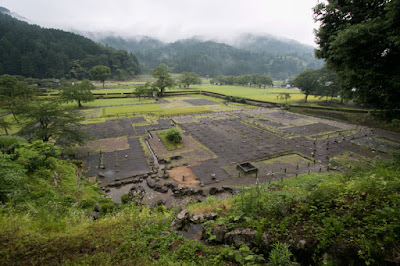 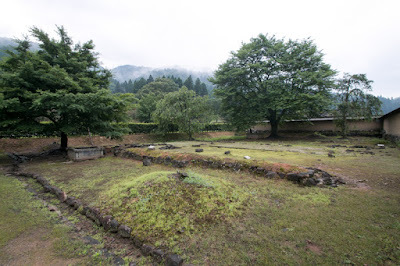 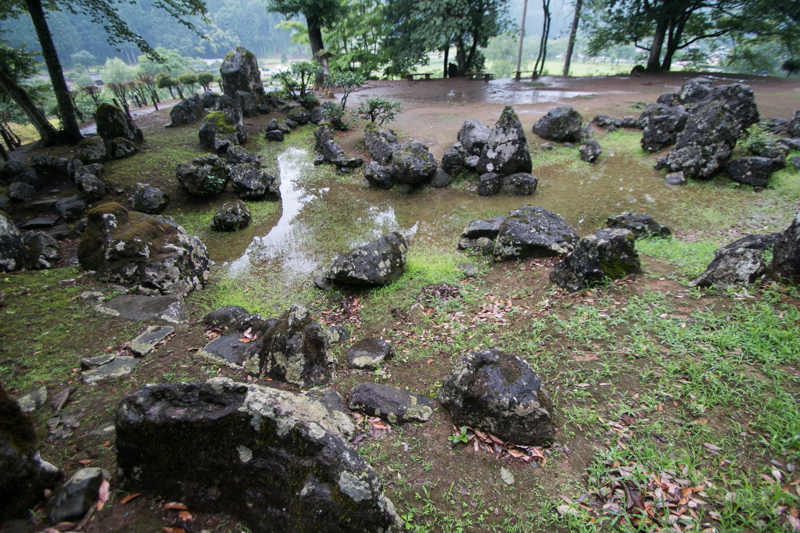 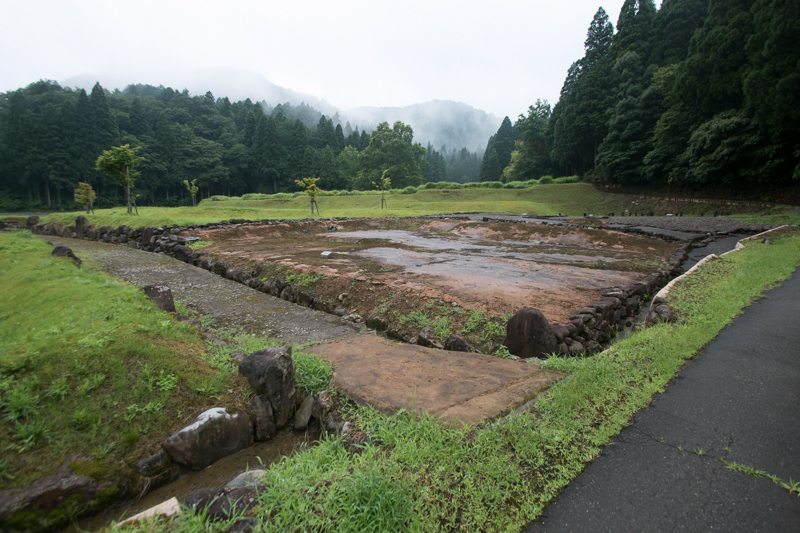 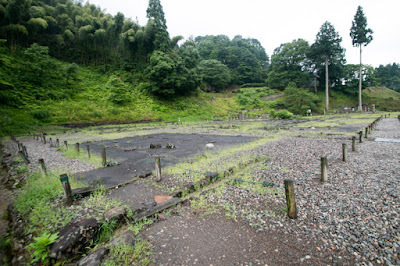 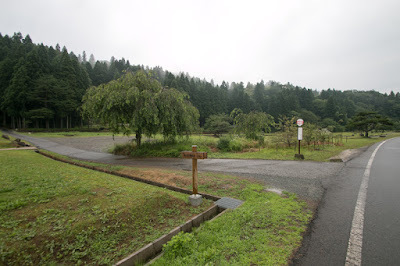 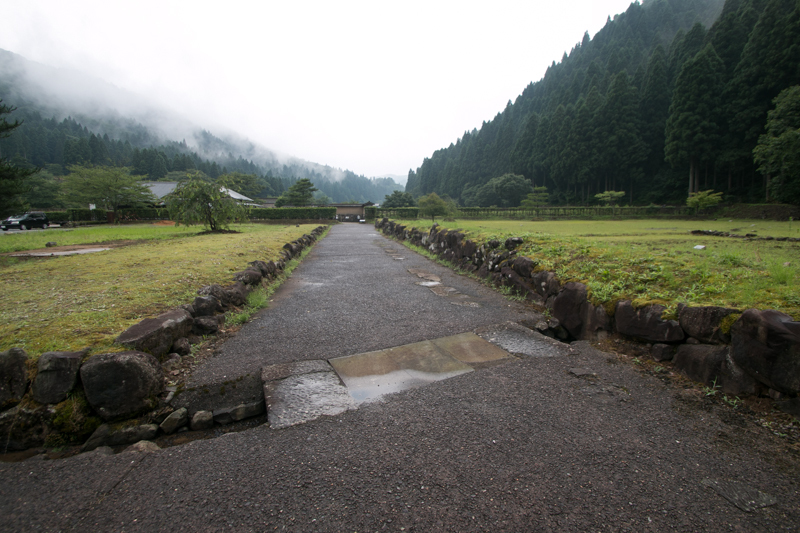 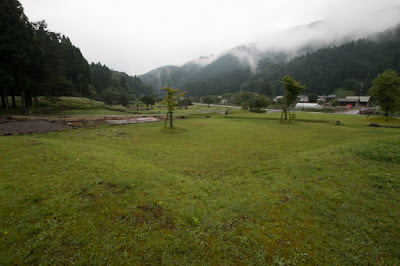 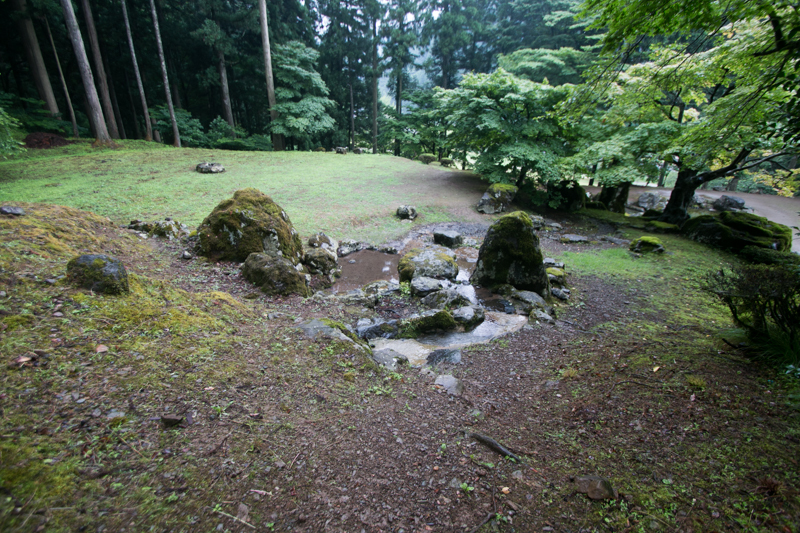 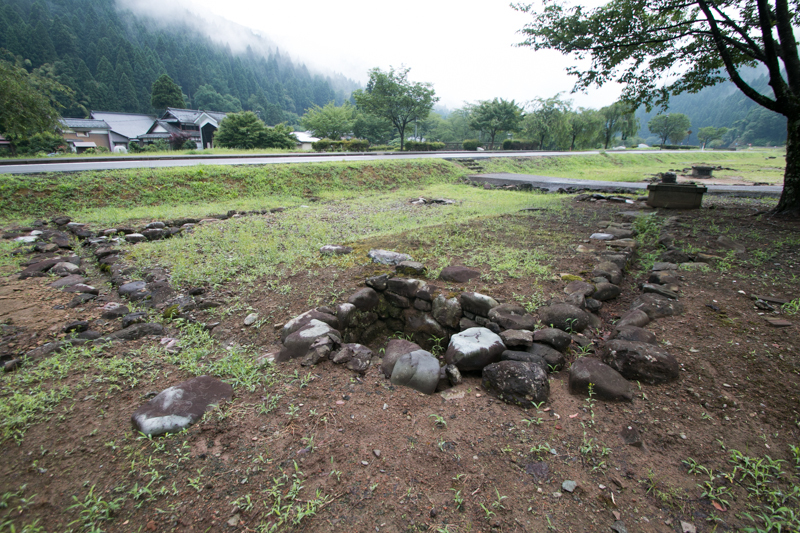 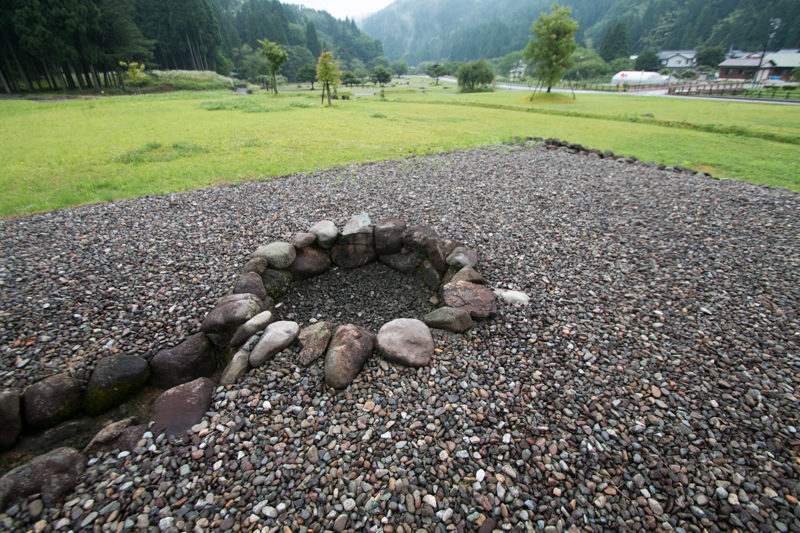 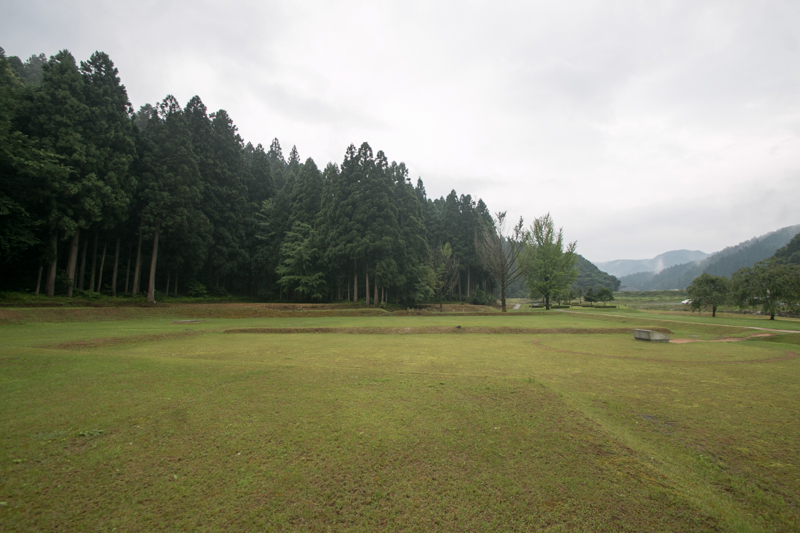 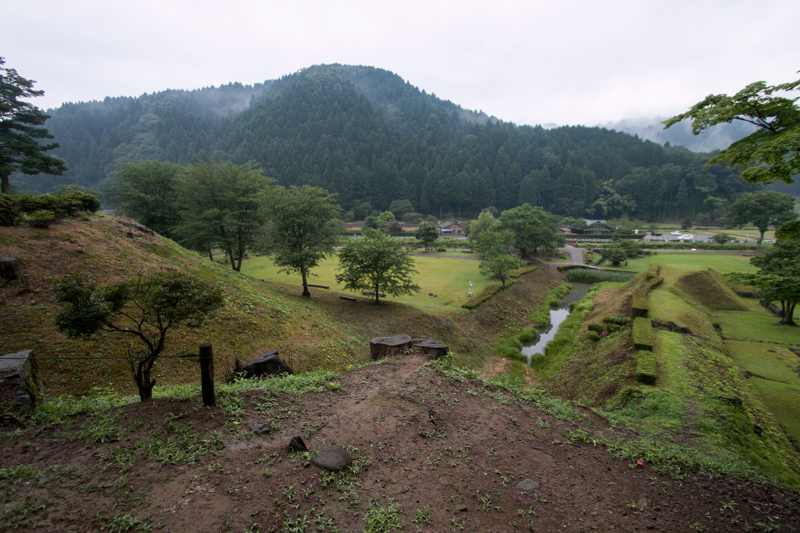 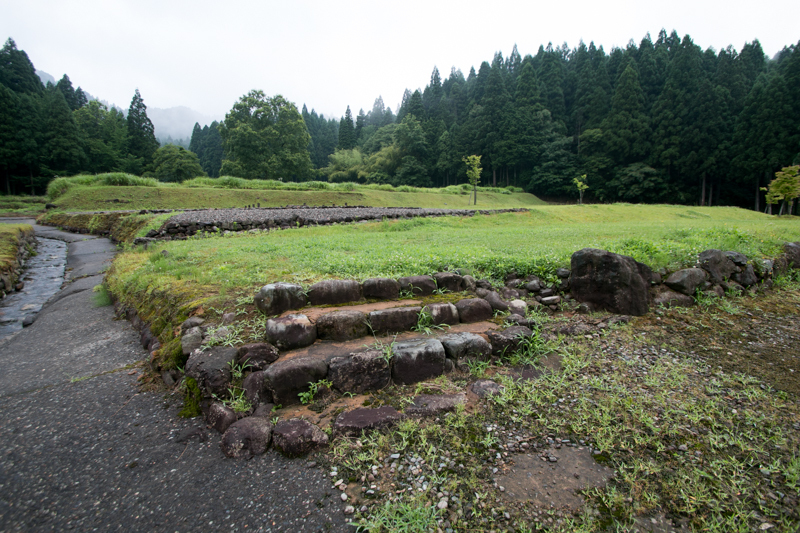 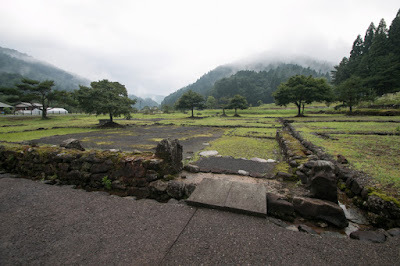 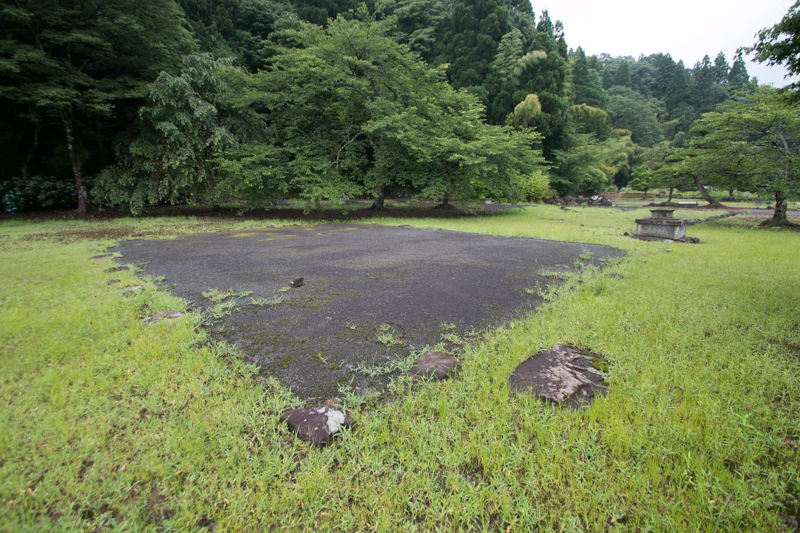 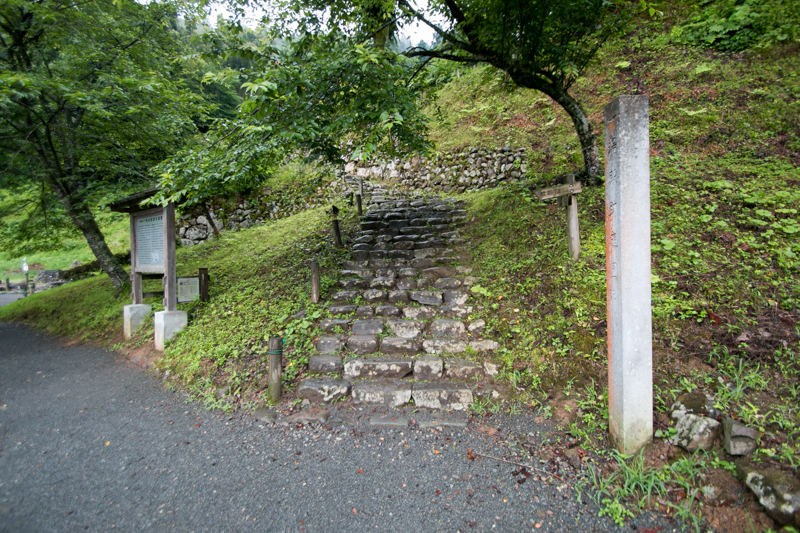 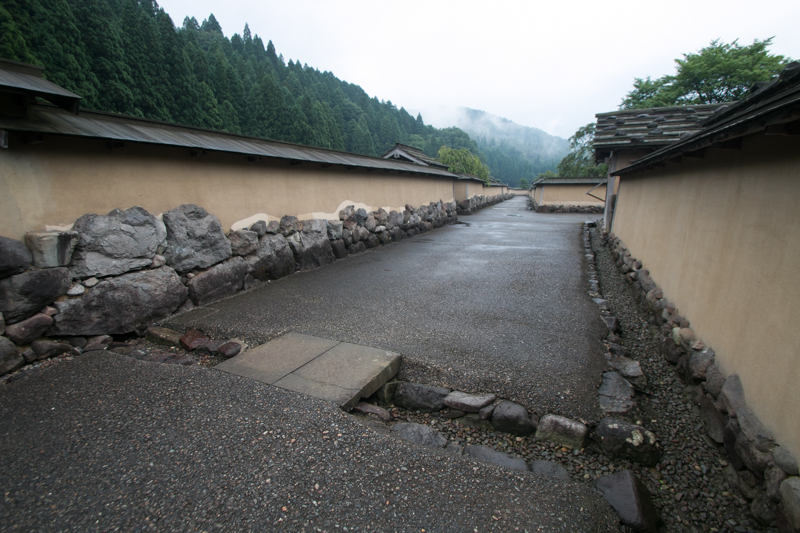 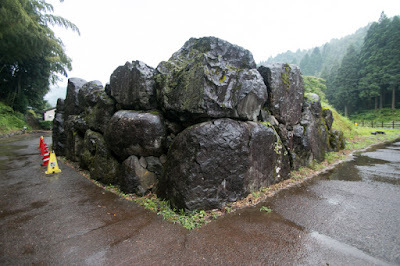 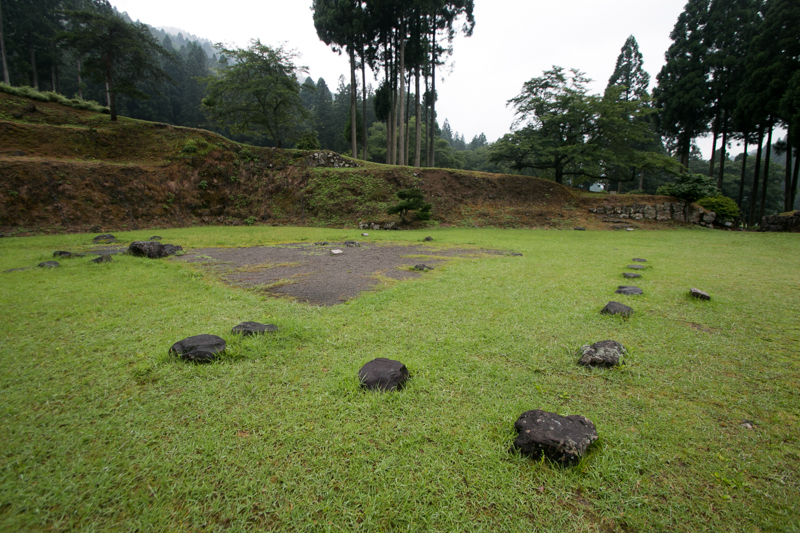 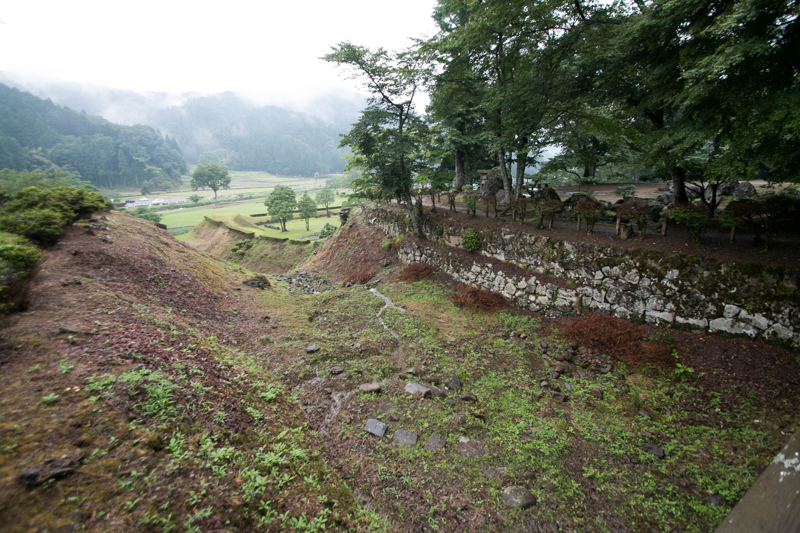 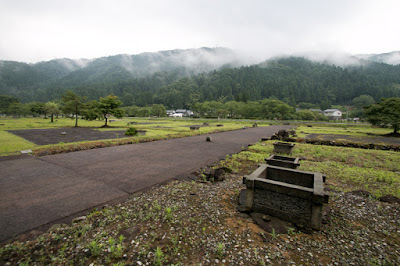 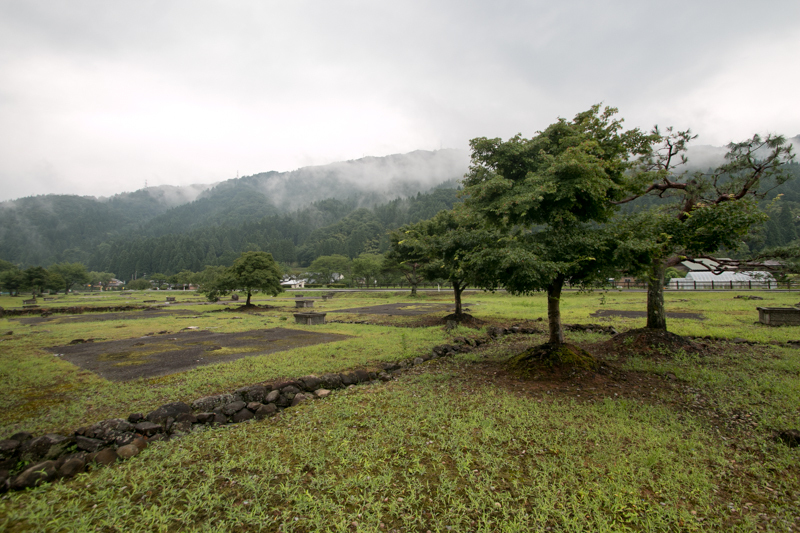 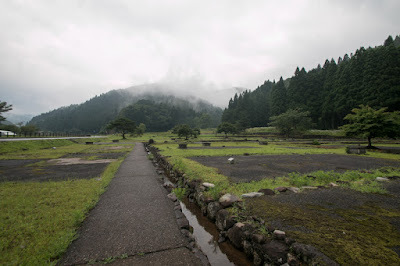 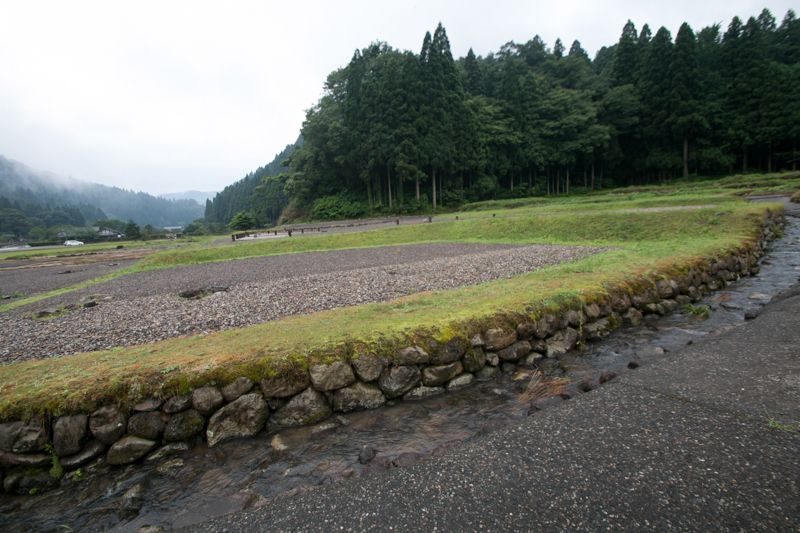 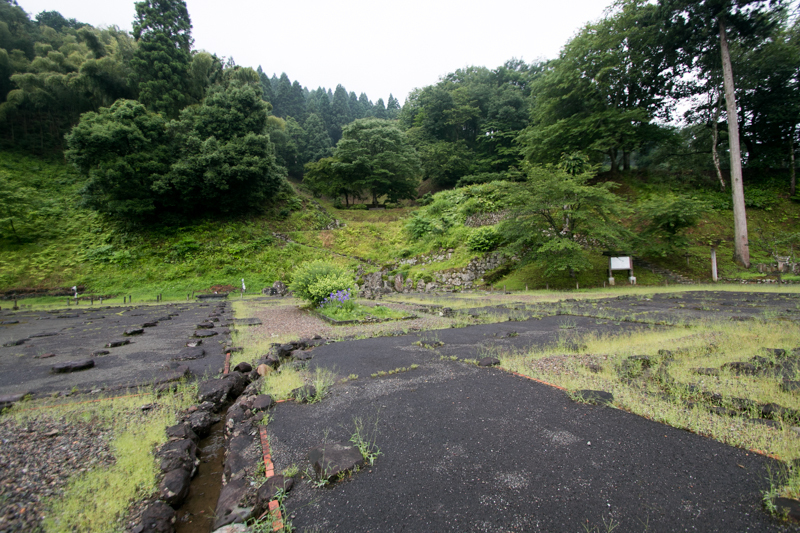 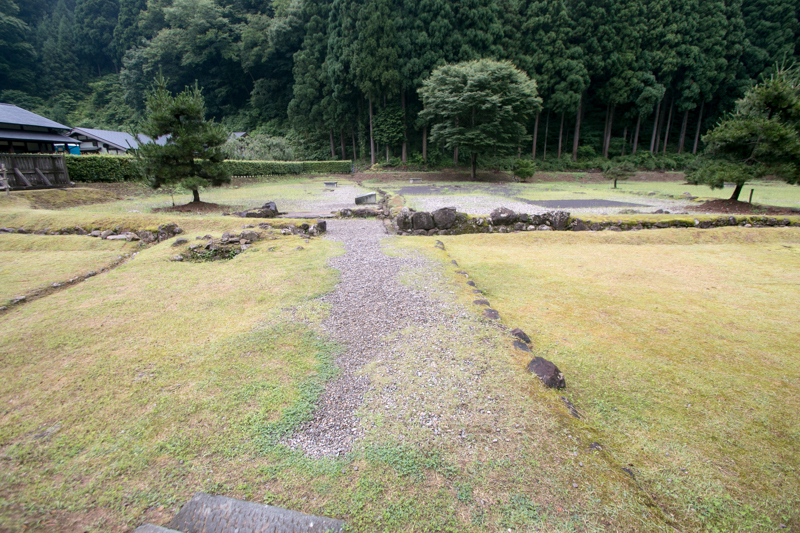 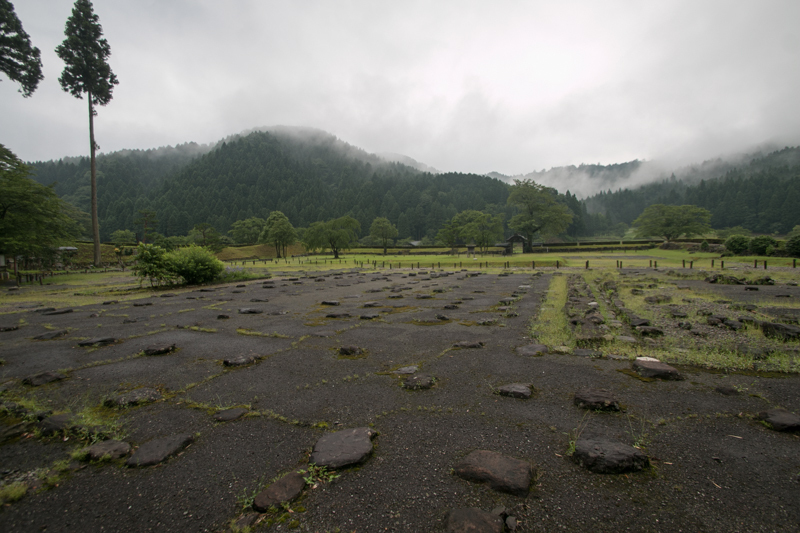 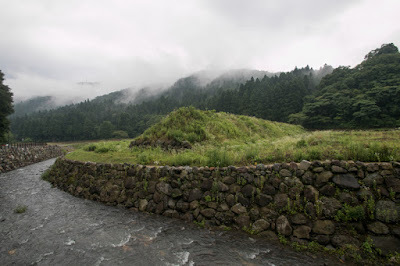 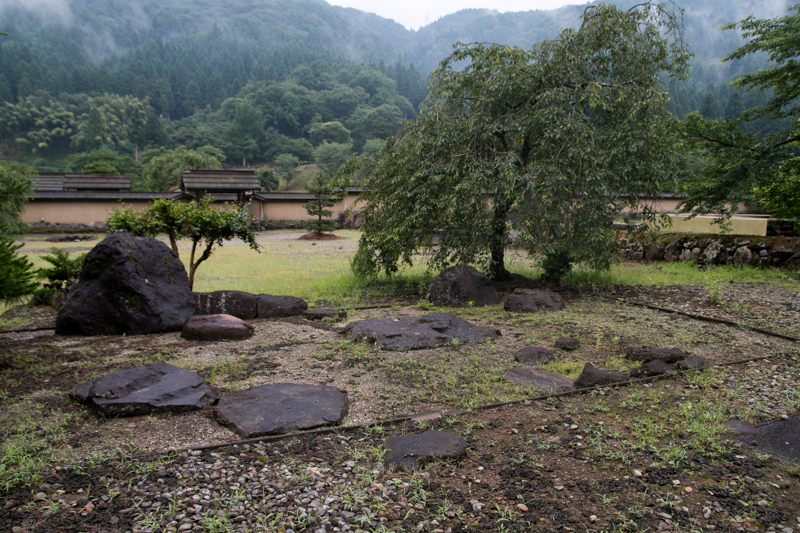 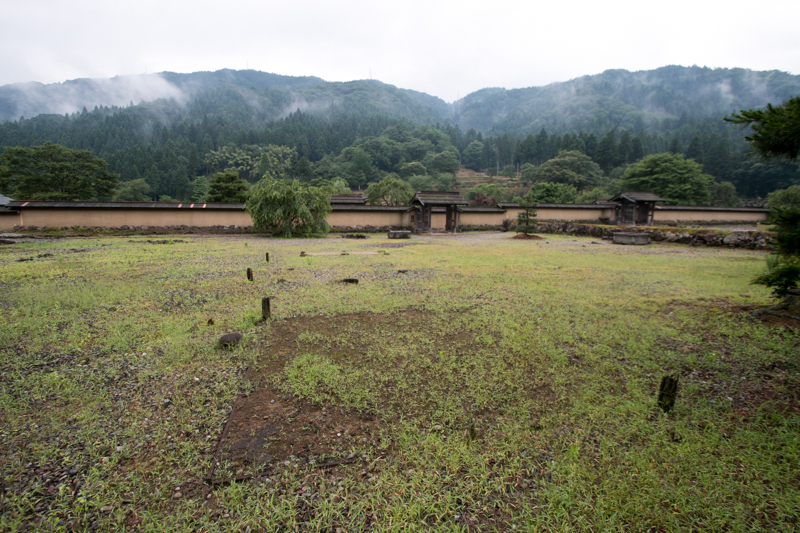 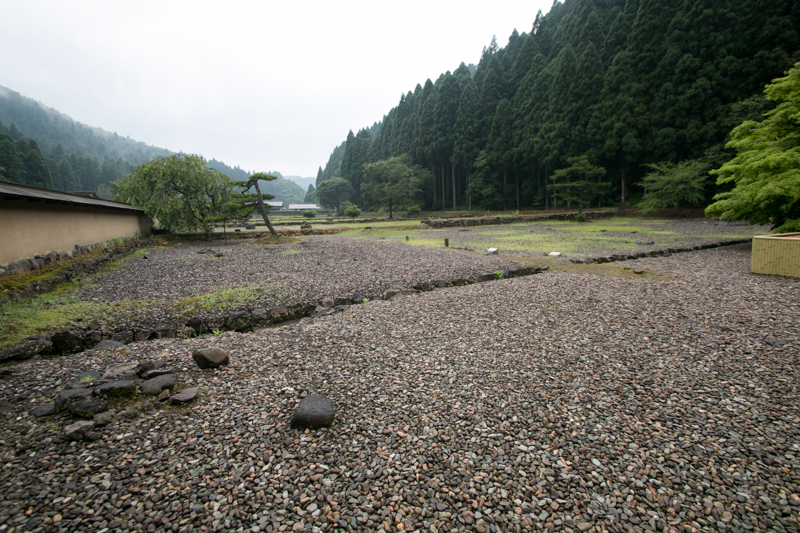 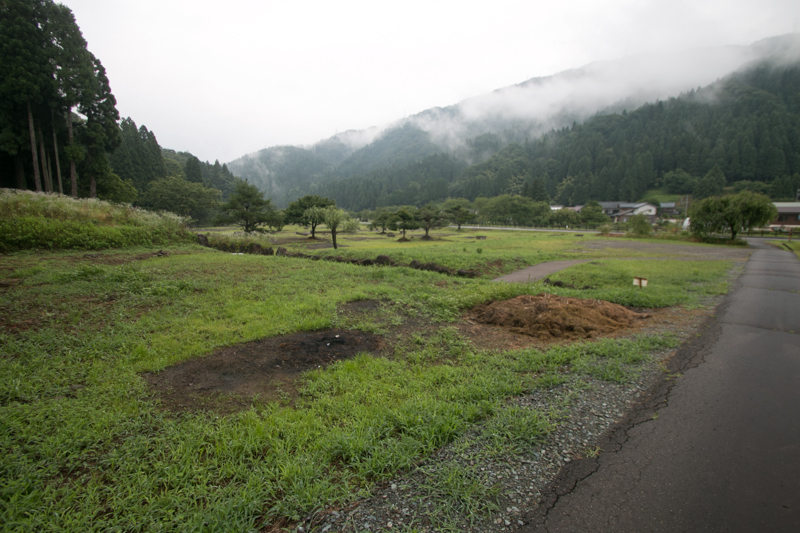 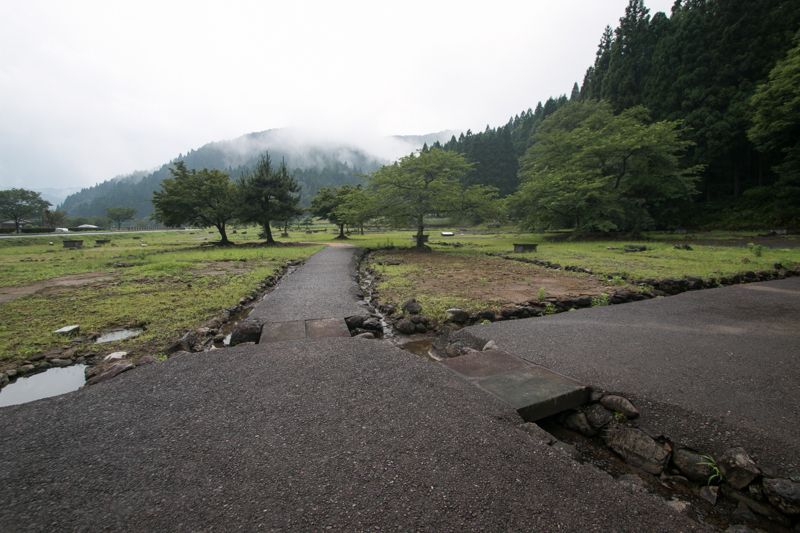 Asakura clan and Ichijyodani valley enjoyed unprecedented prosperity of nearly 100 years, but new powers later beat Asakura clan gradually grew outside the valley. 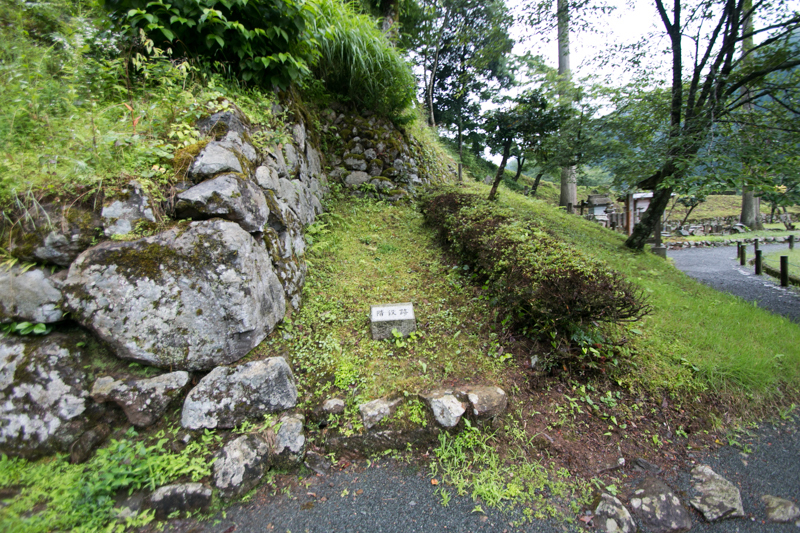 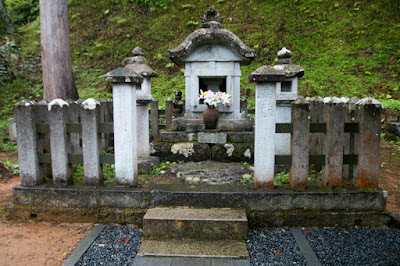 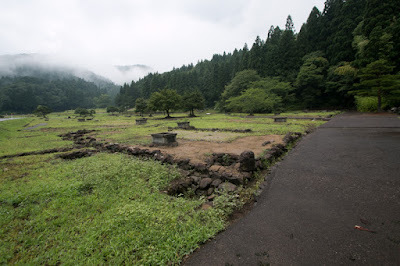 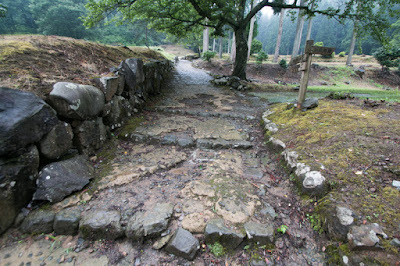 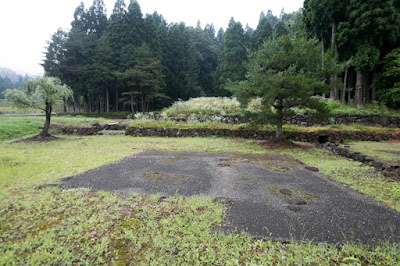 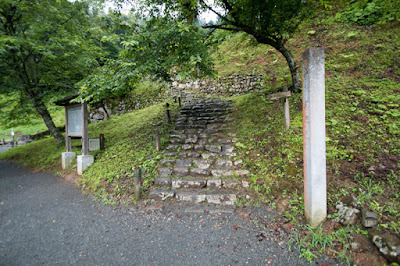 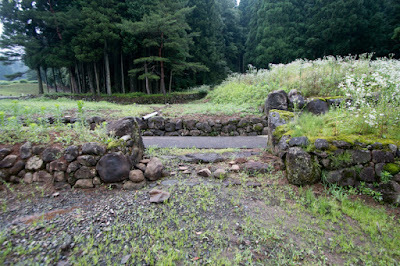 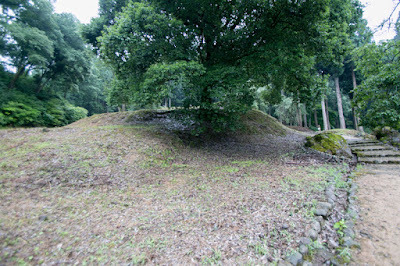 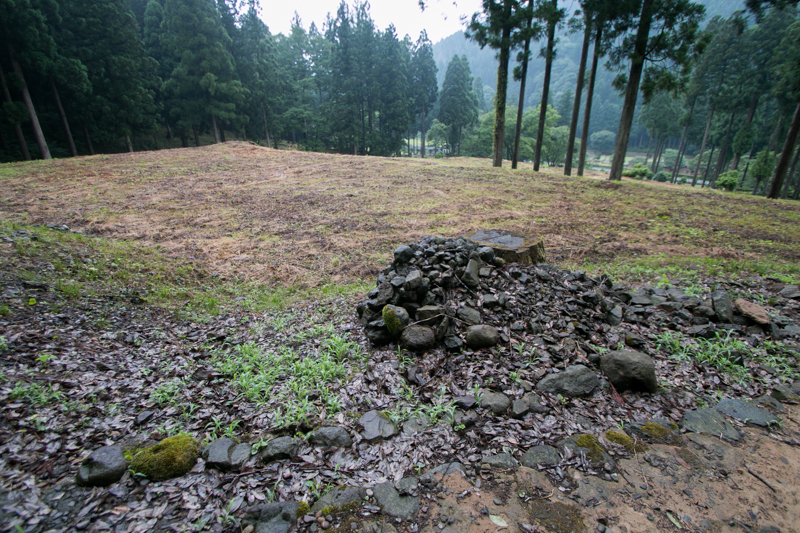 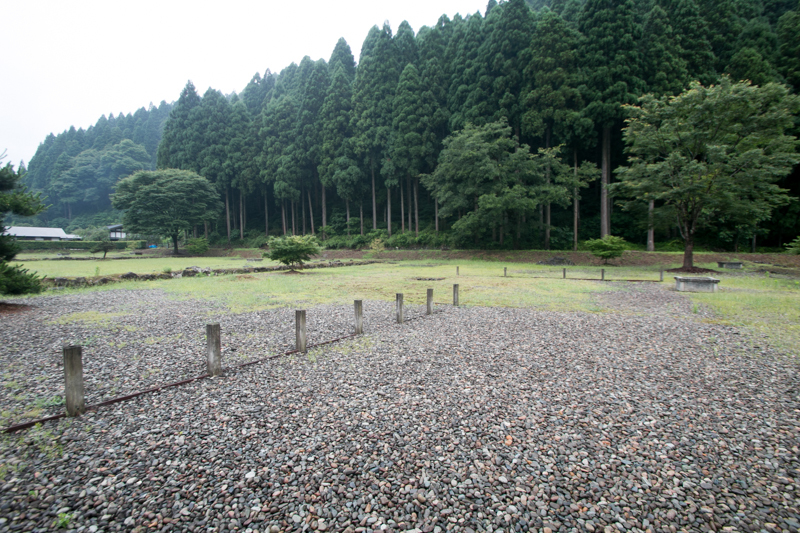 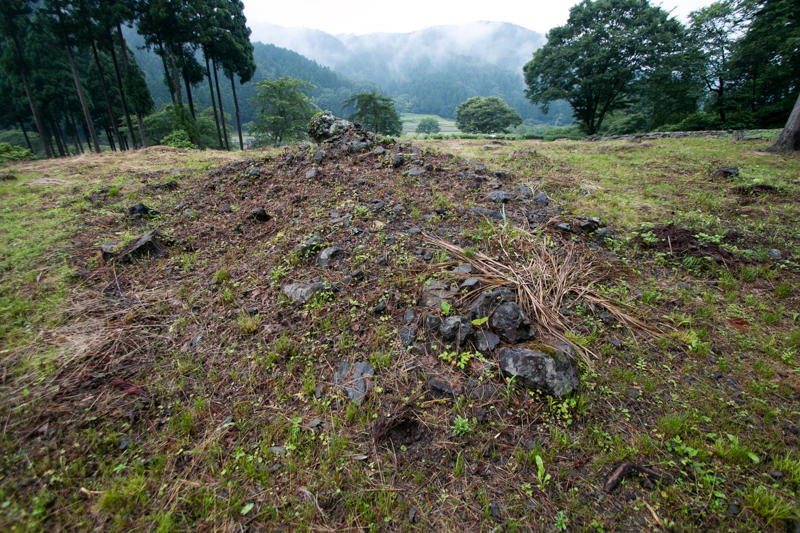 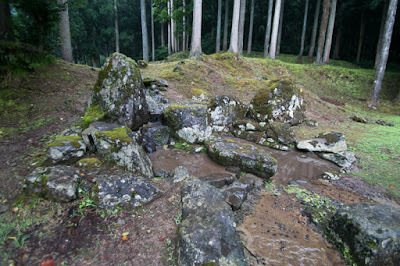 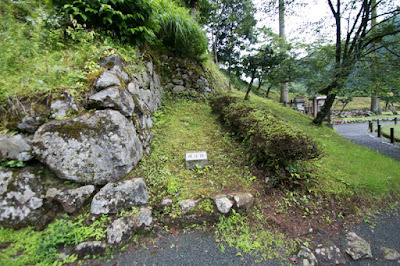 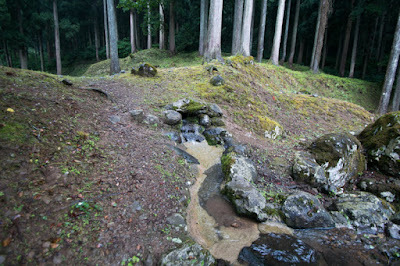 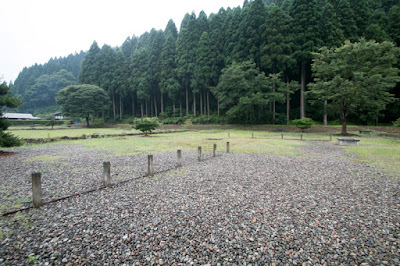 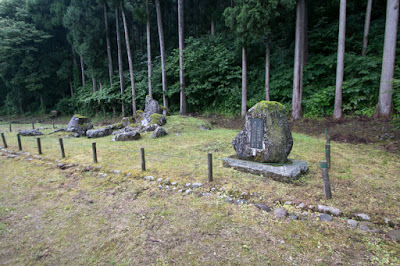 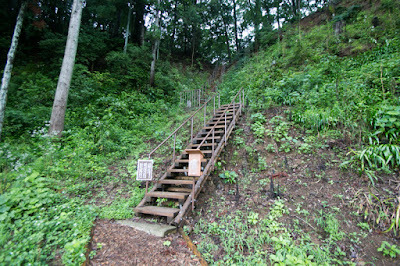 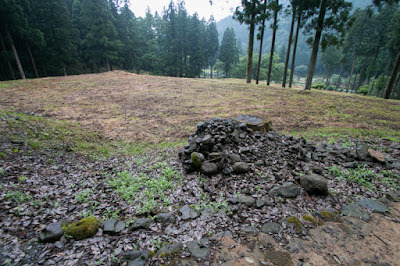 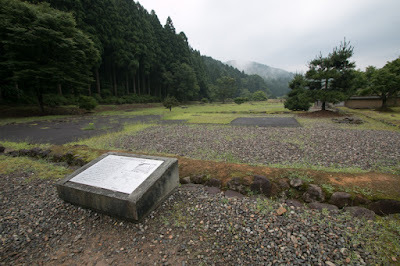 Further, Norikage who undertook military operation of Asakura clan over 50 years, died in ill. Undetected symptom of hardship secretly approached to Ichijyodani valley.